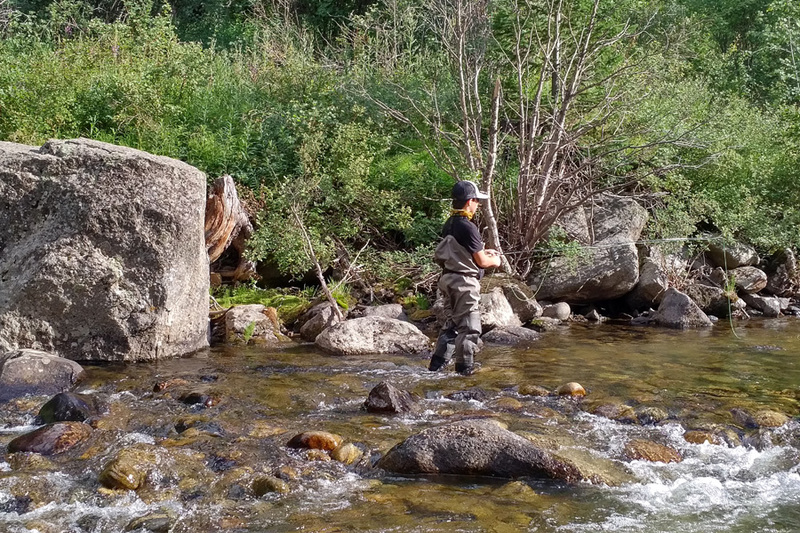 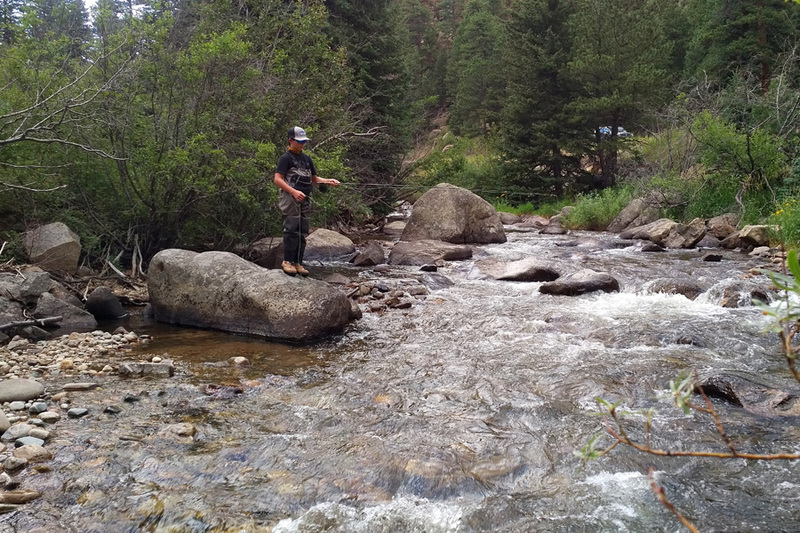 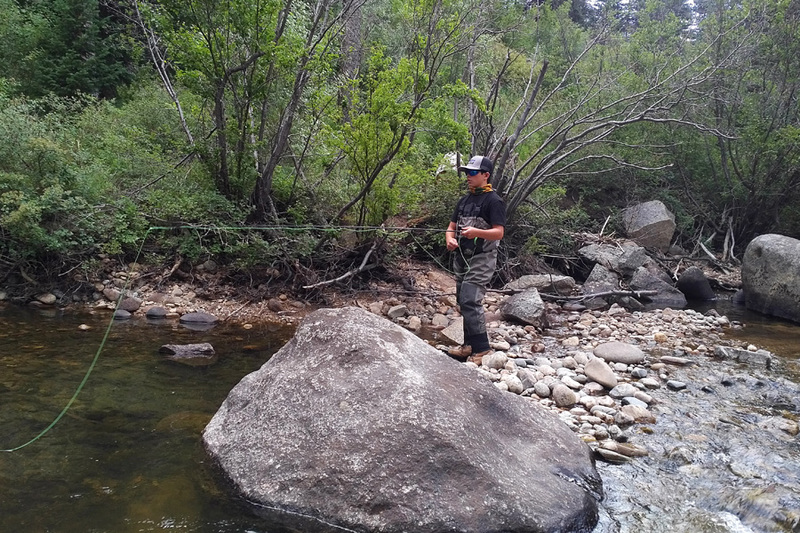 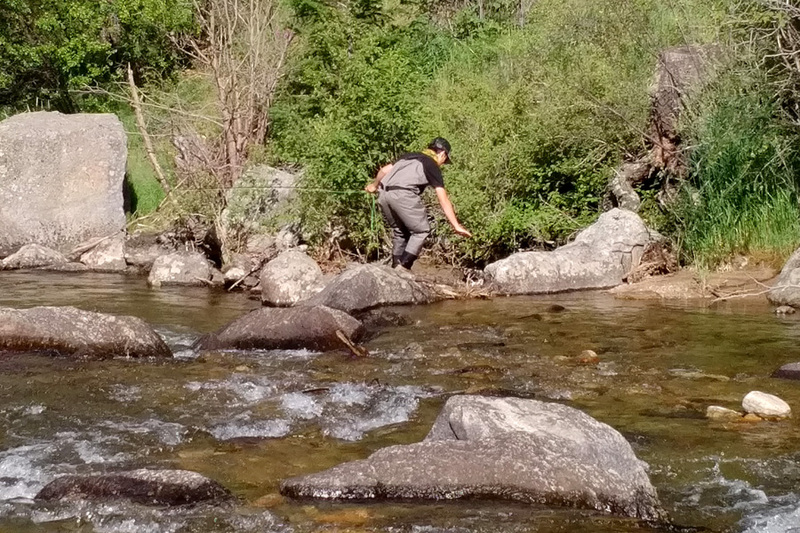 While we first learned to fly fish last spring, this year we acquired waders and boots and began to enjoy fly fishing much more often. 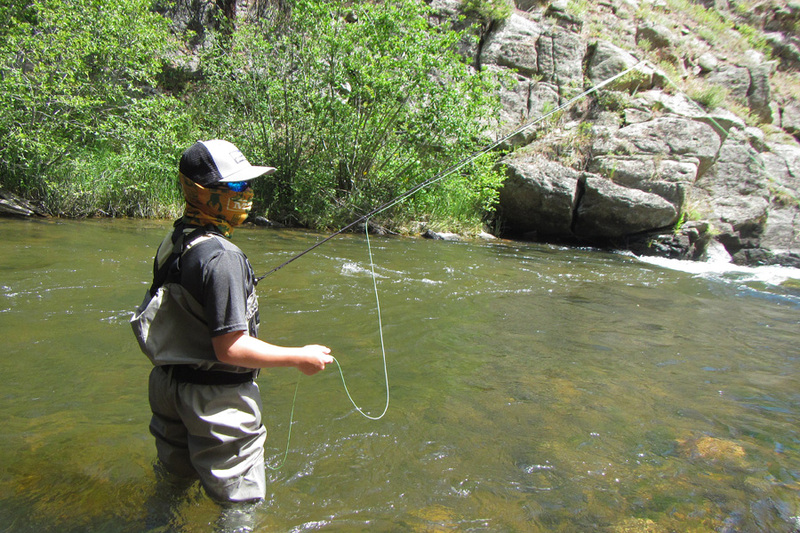 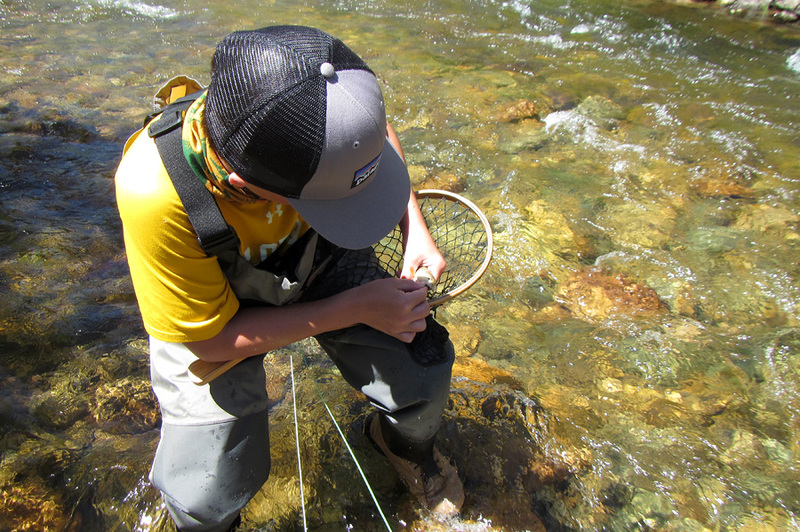 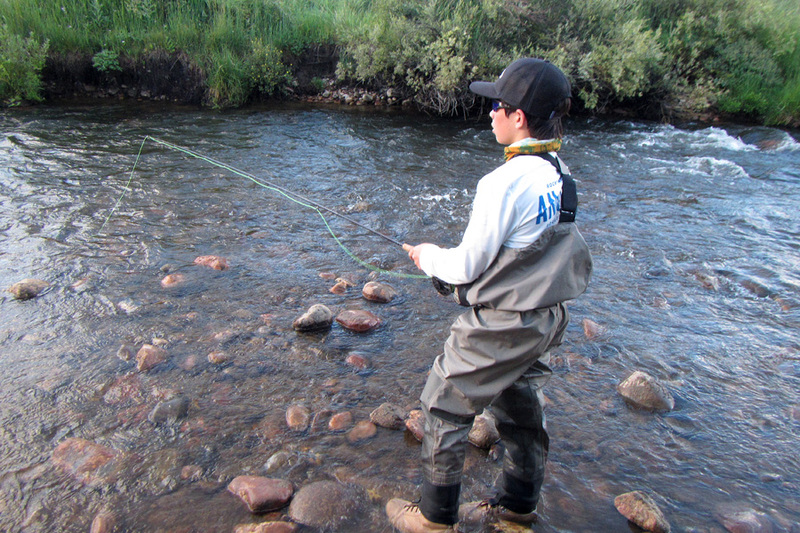 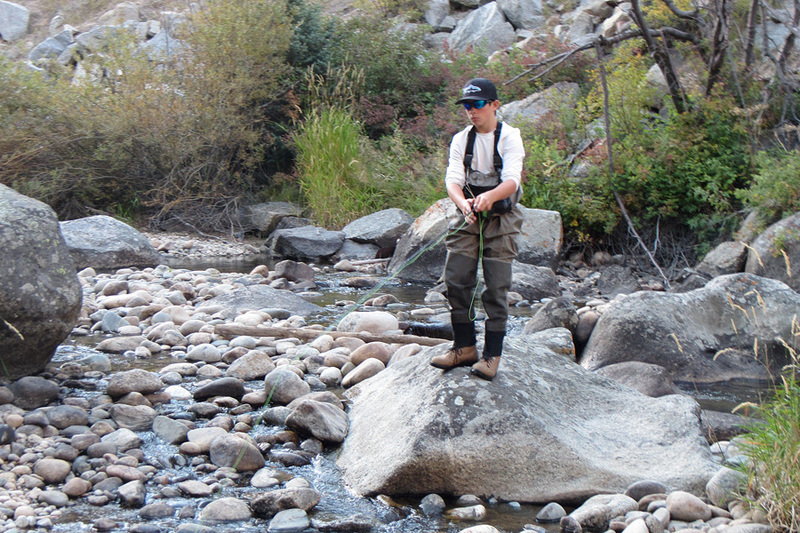 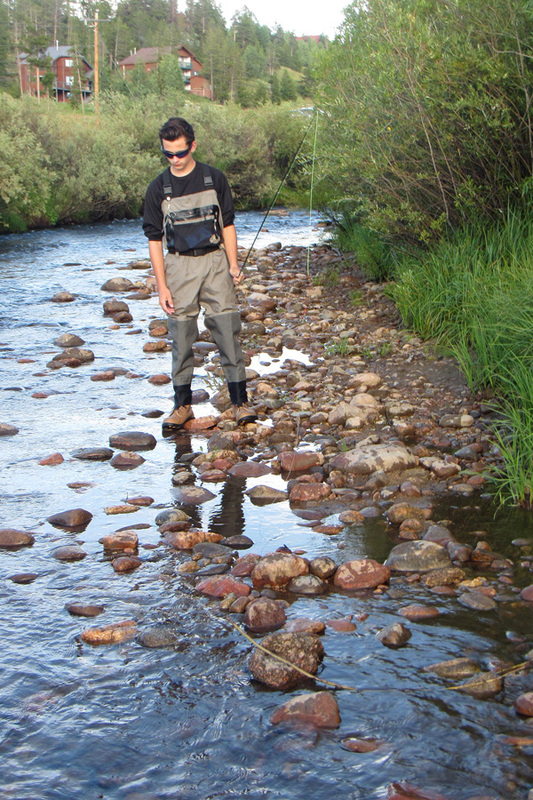 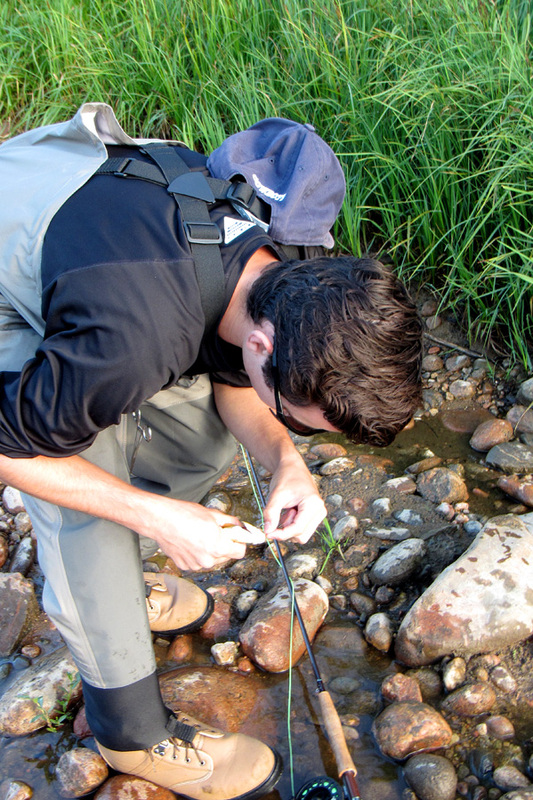 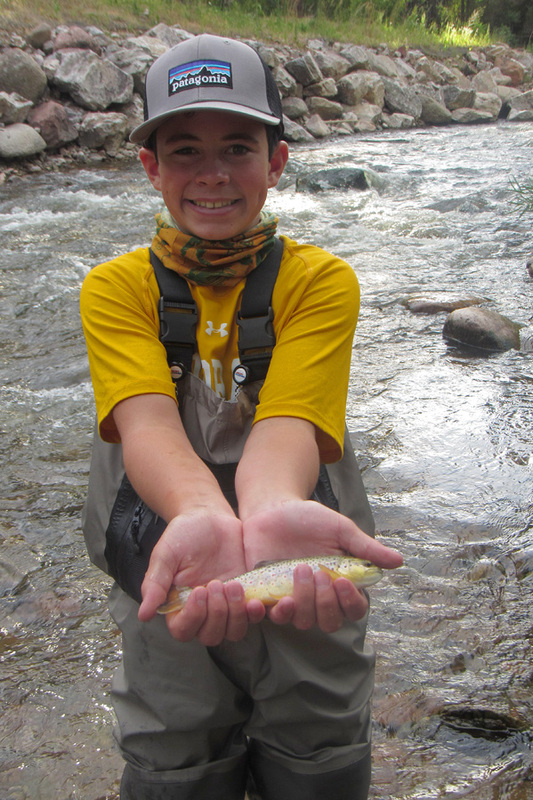 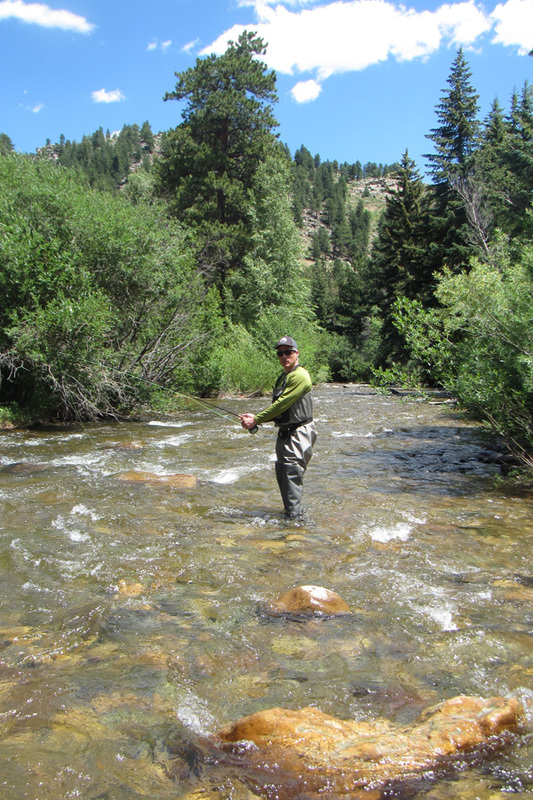 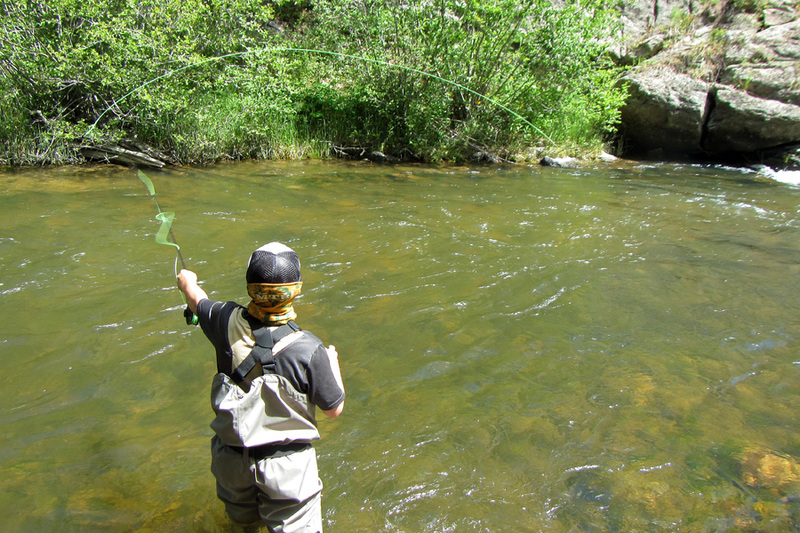 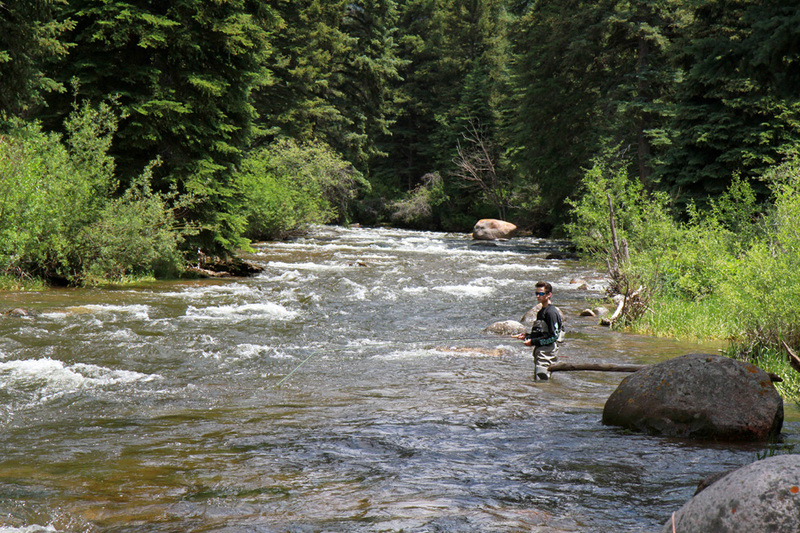 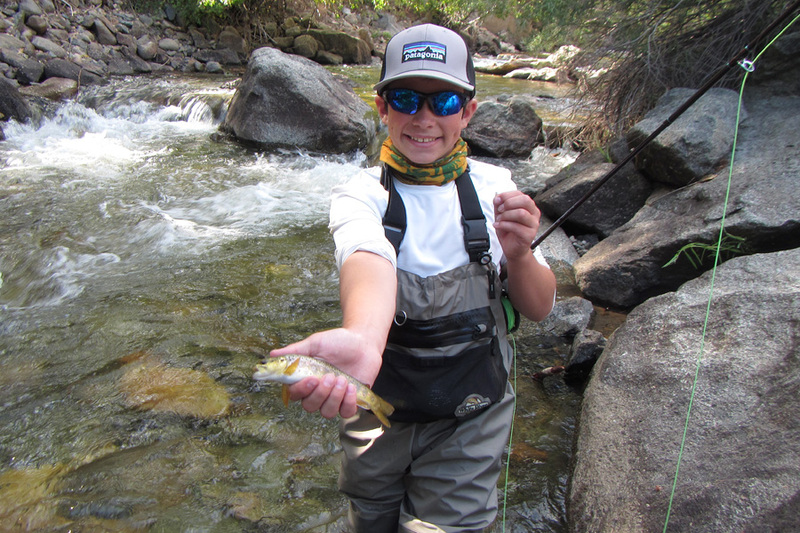 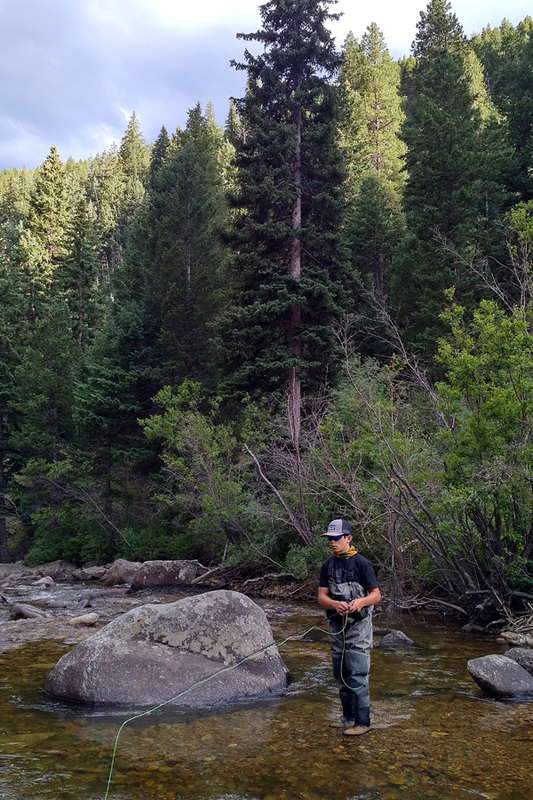 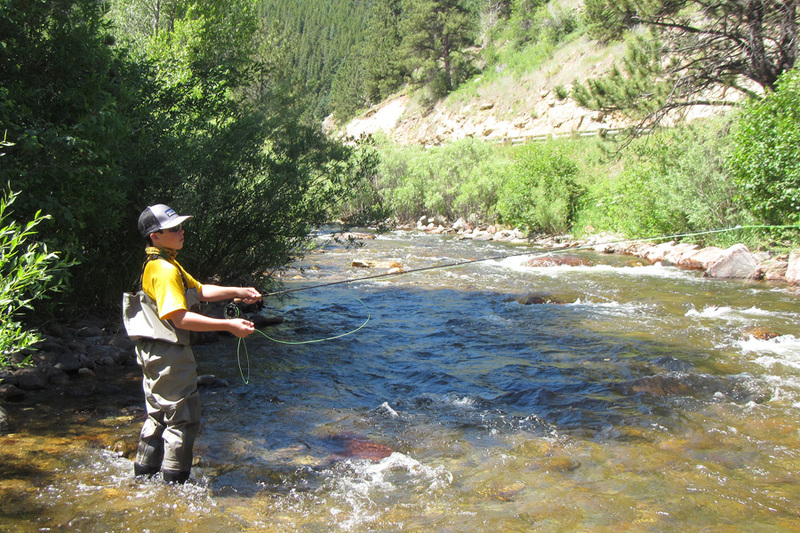 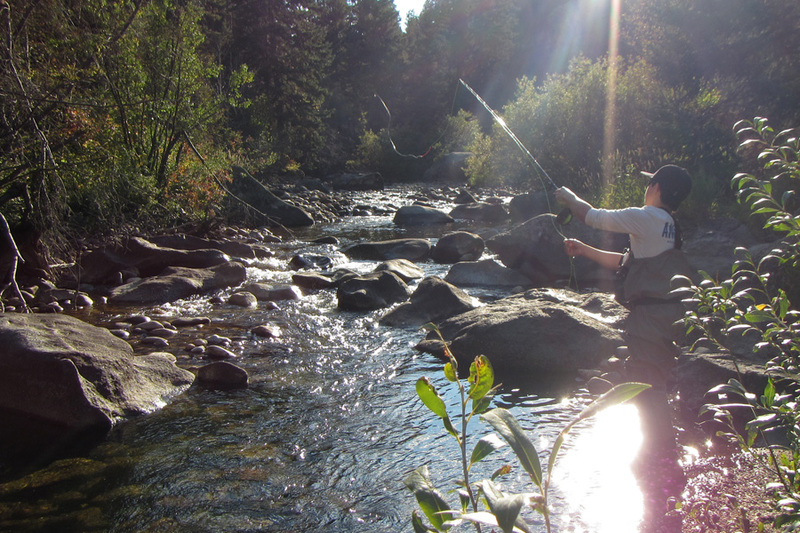 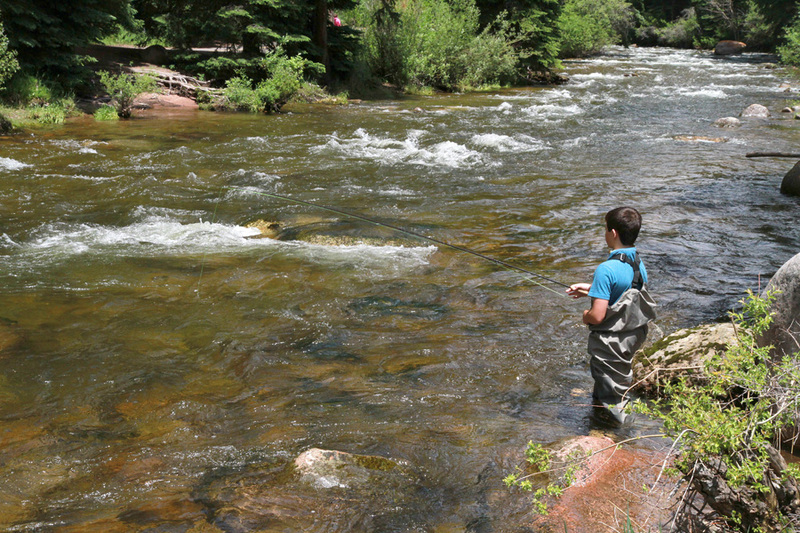 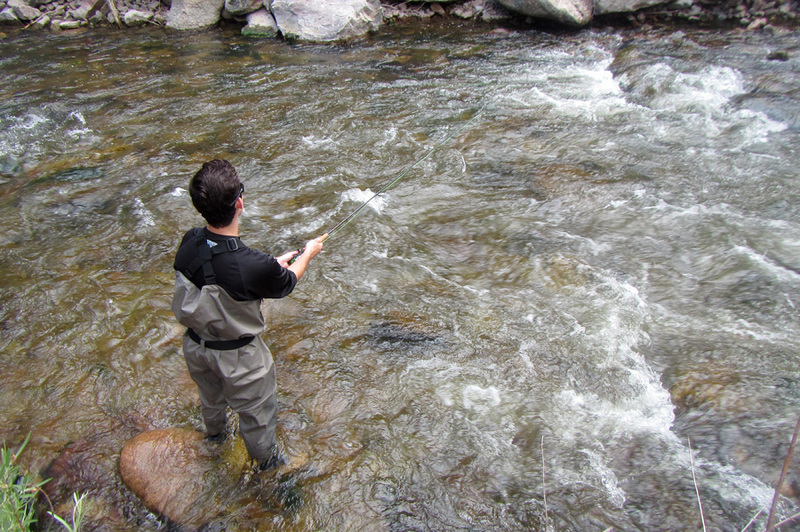 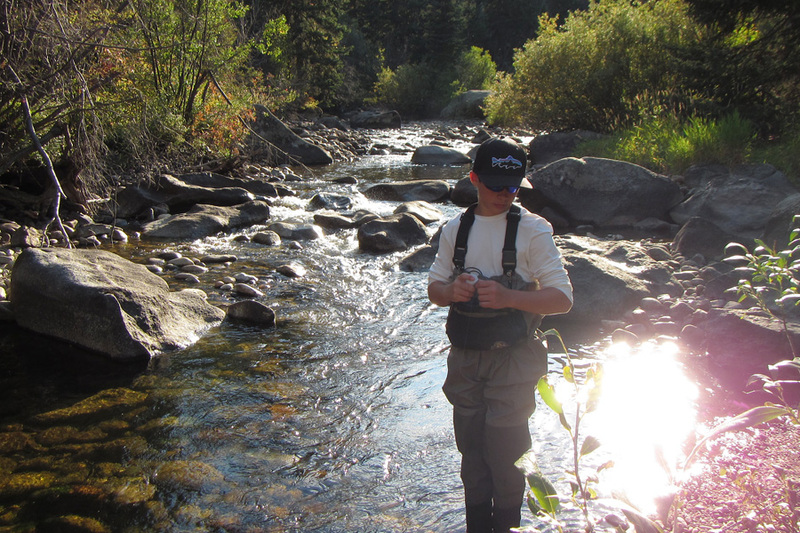 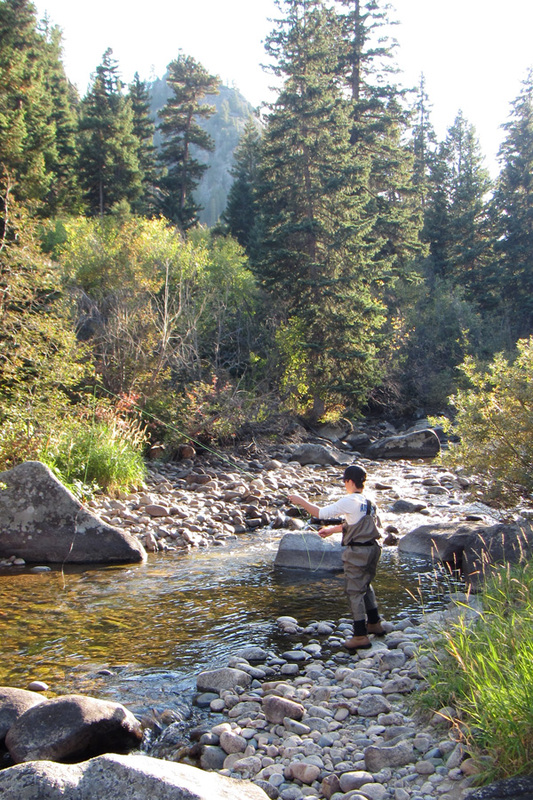 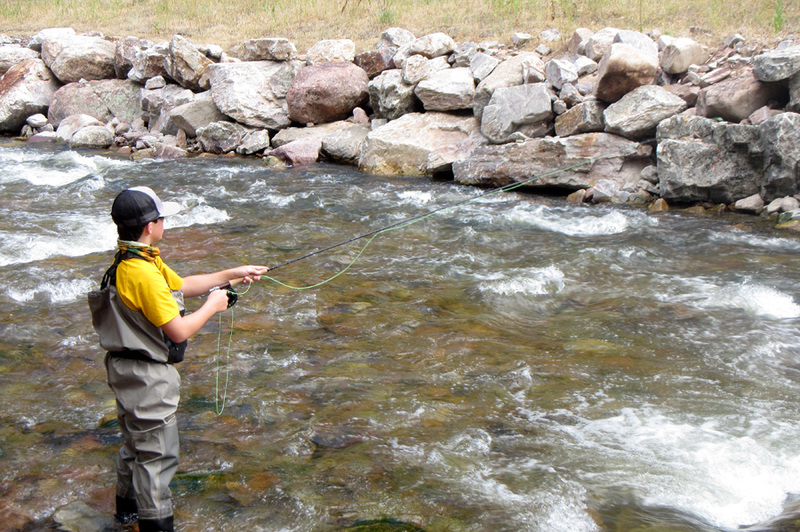 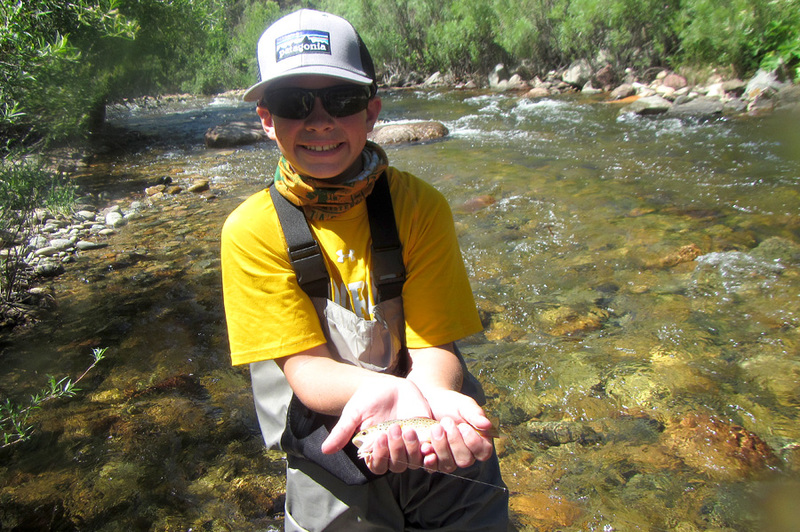 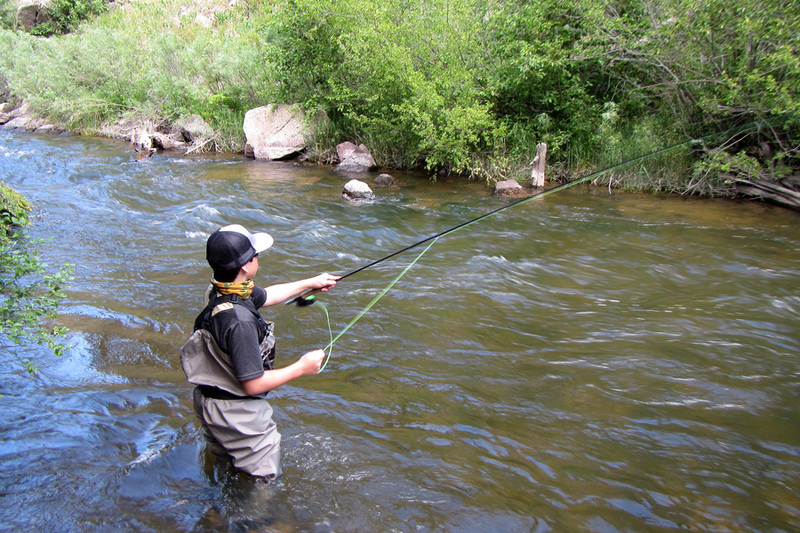 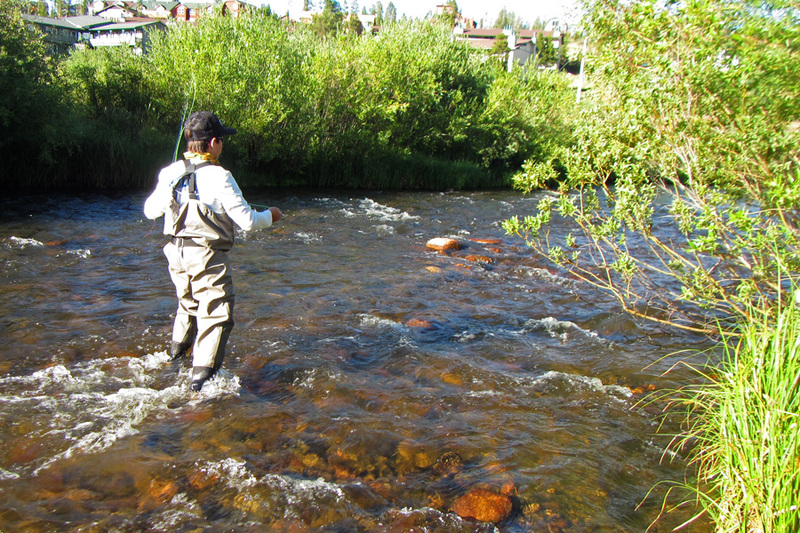 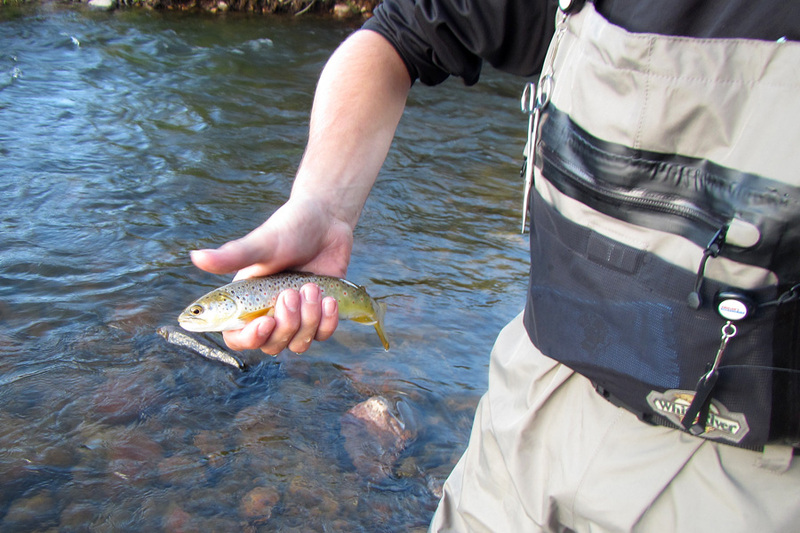 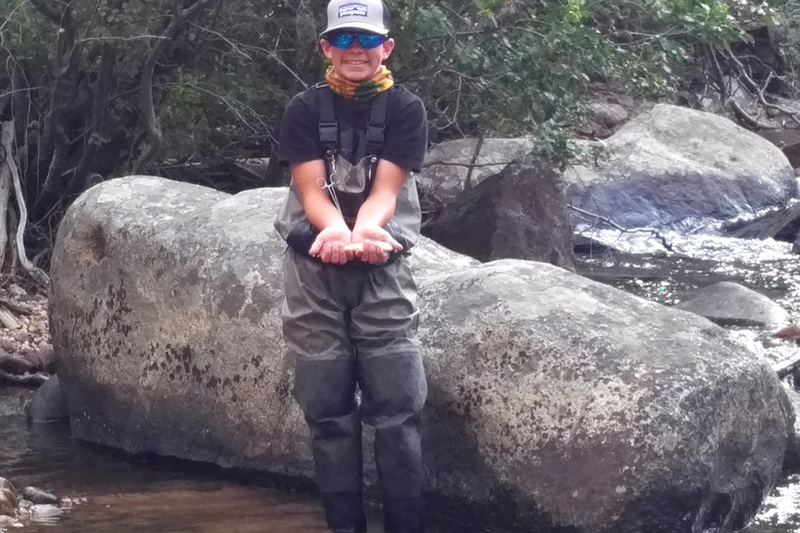 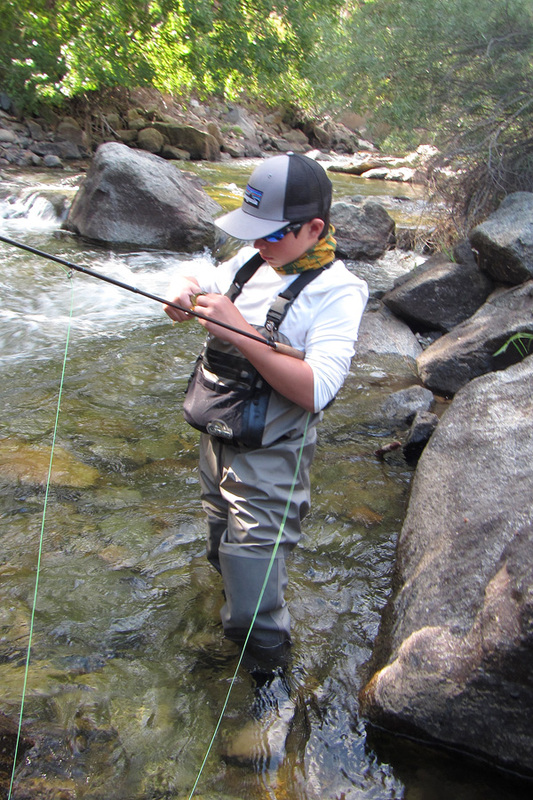 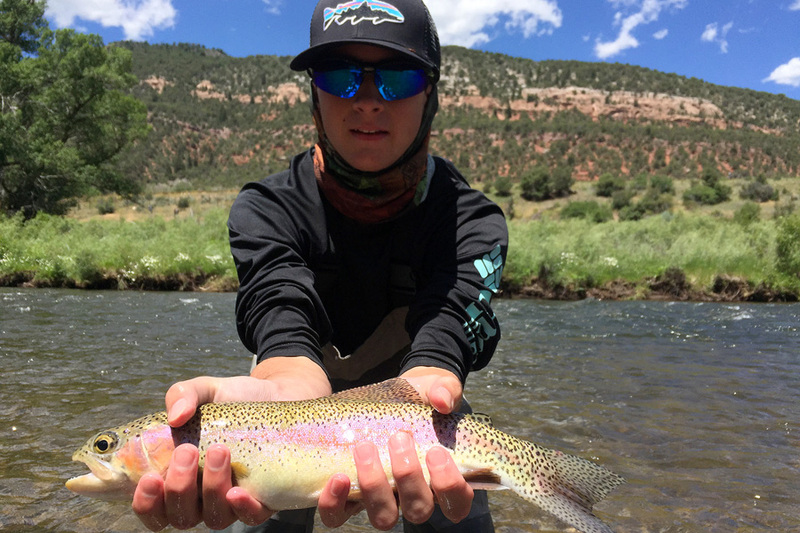 Finally see some Fall fishing in Aspen by clicking here. 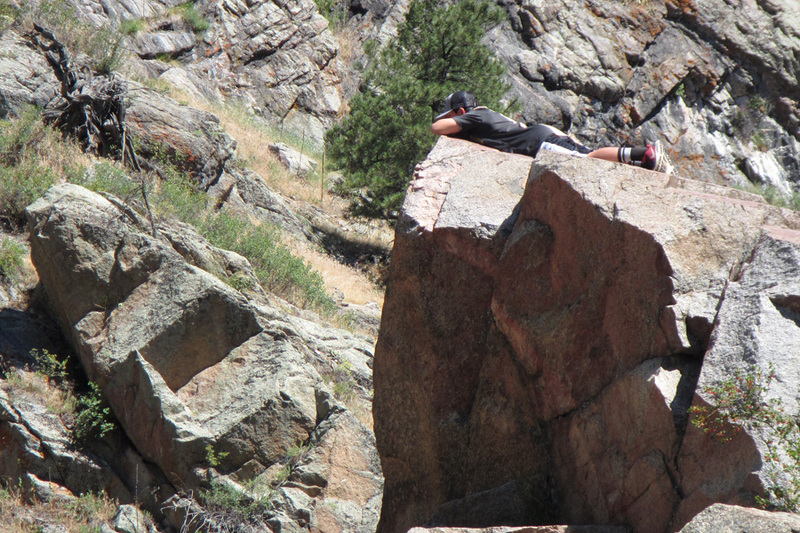 And here. 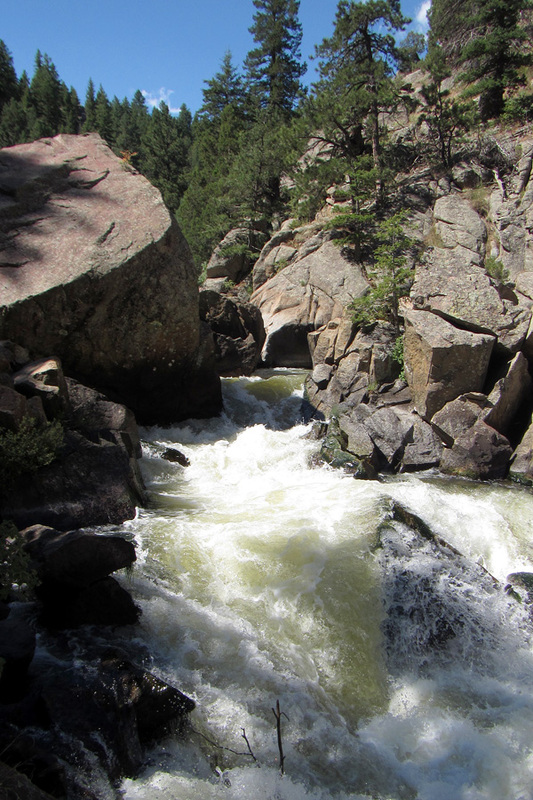 A few images from Rogers Park on Boulder Creek which is just a few miles above Boulder Falls in Boulder Canyon. 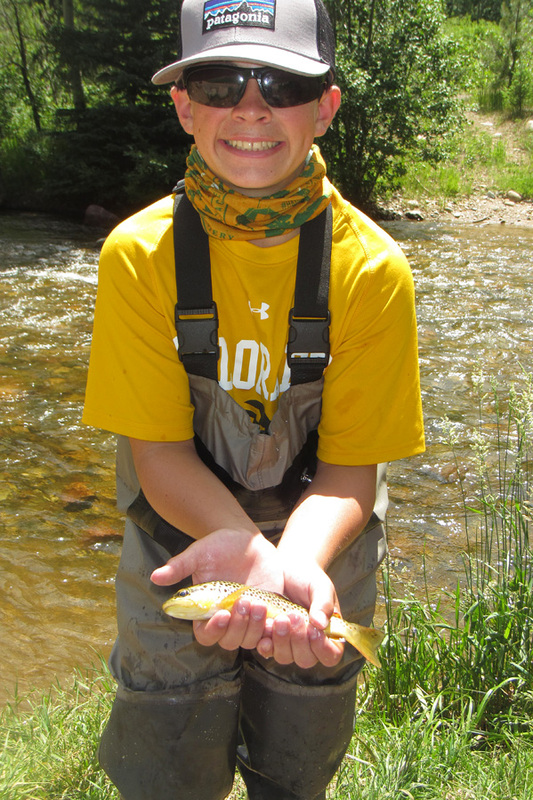 Brendan caught three or so small Brown Trout. 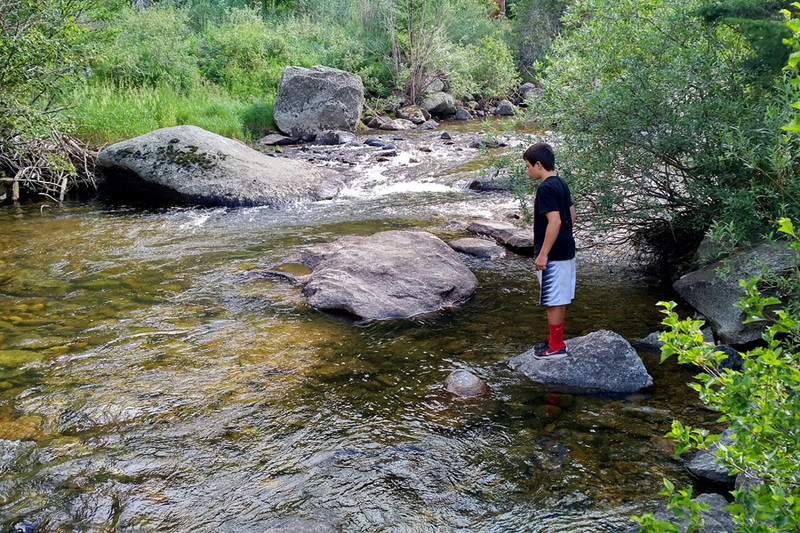 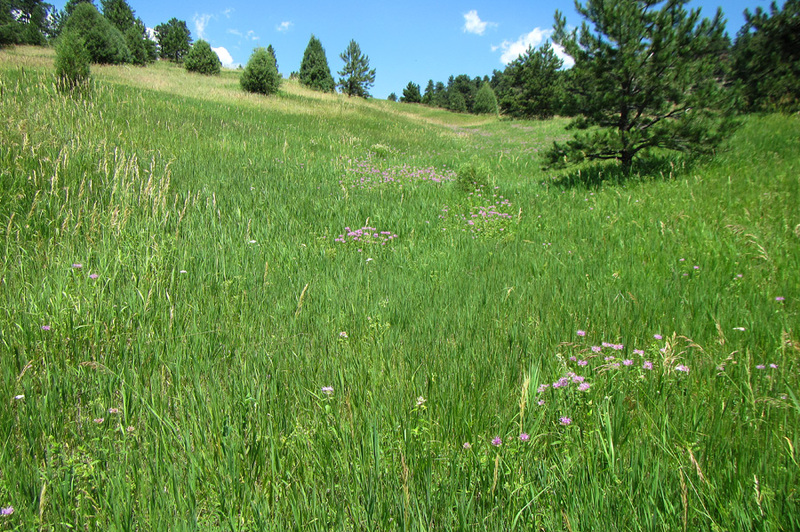 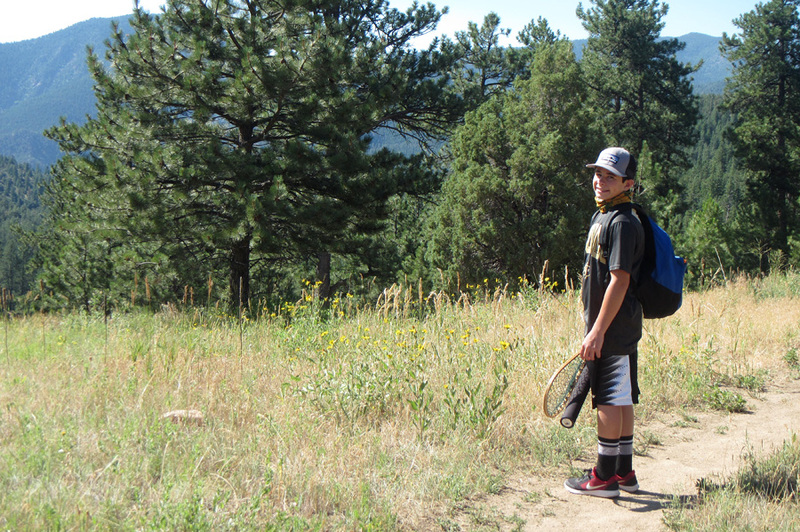 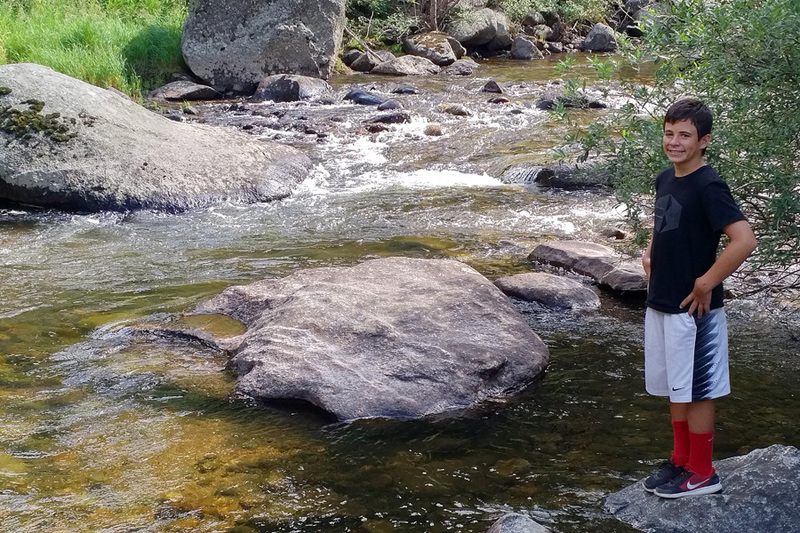 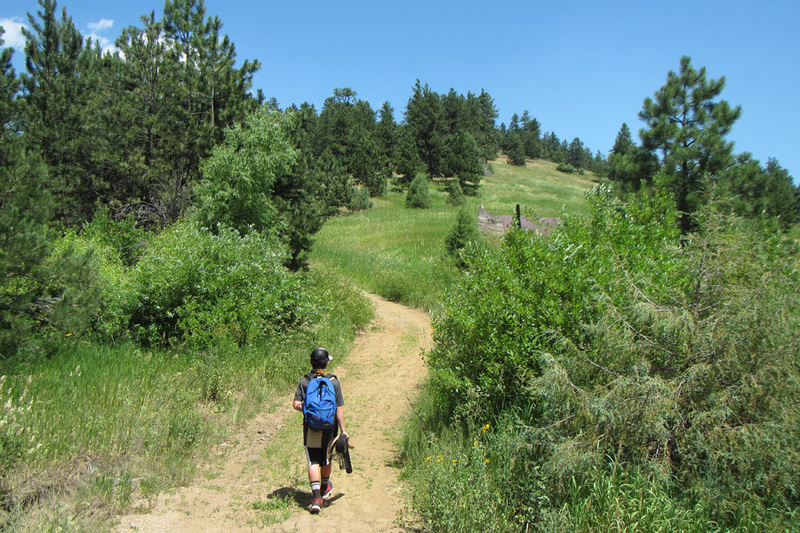 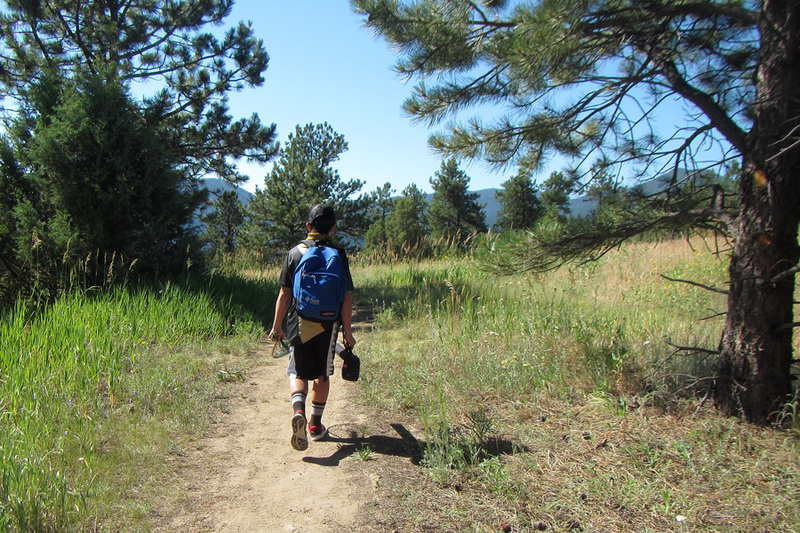 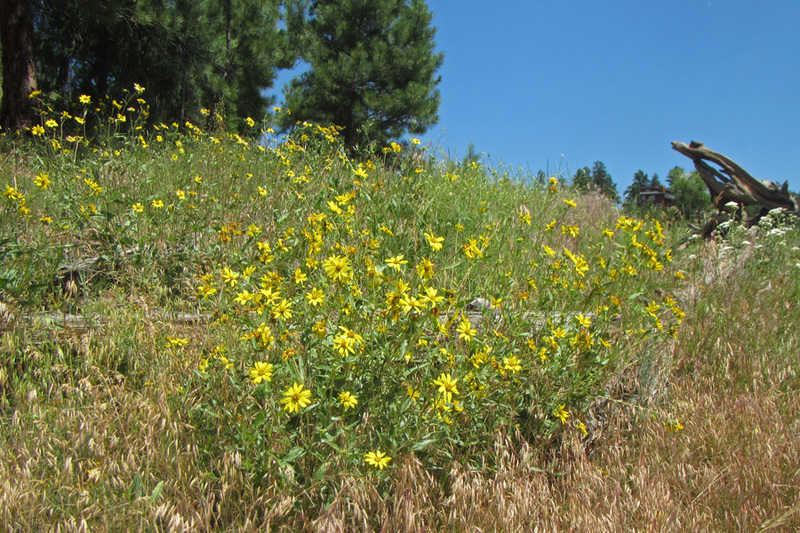 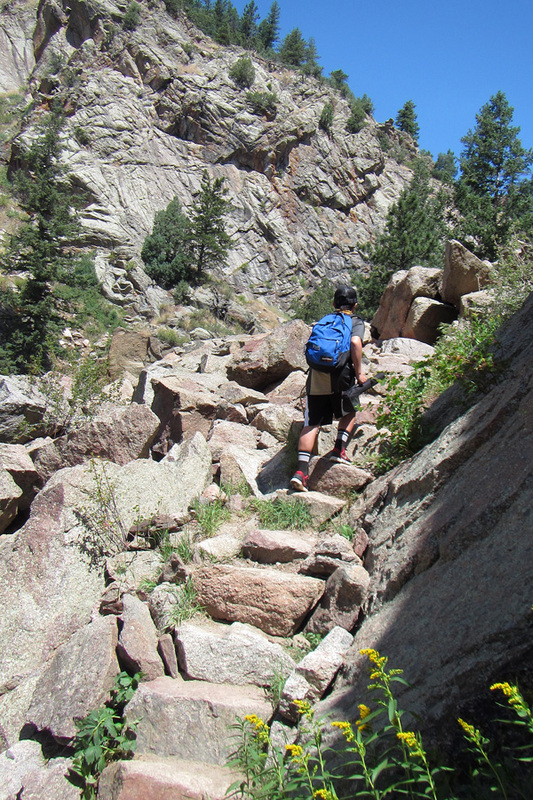 On this day we hiked about 45 minutes in Walker Ranch down to South Boulder Creek just above Eldorado Canyon. 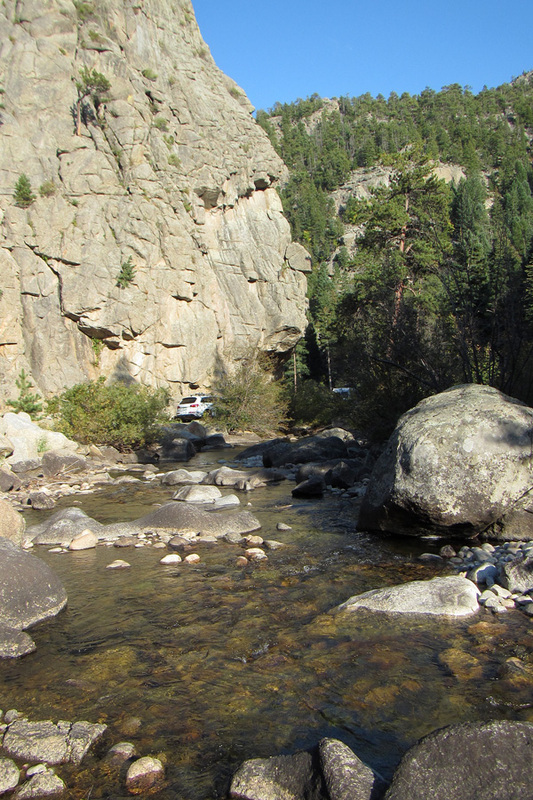 Where we parked was maybe a 20 minute drive from the town of Boulder. 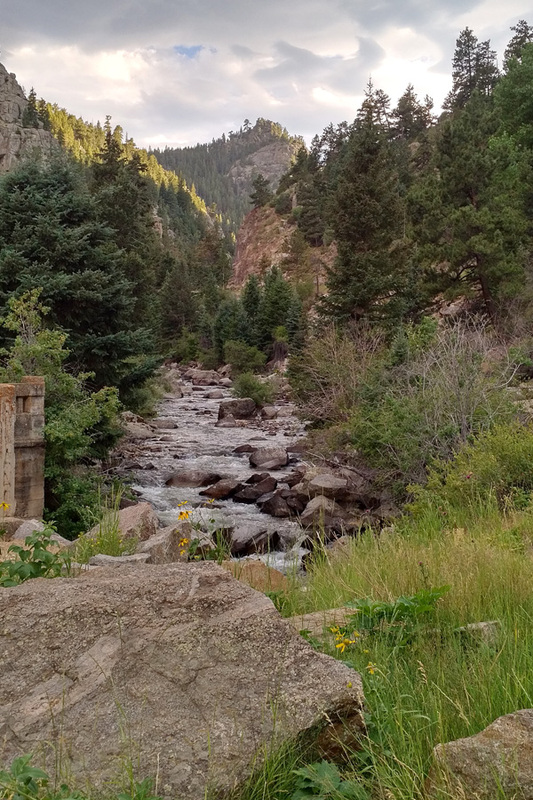 Its amazing how many picturesque spots there are so close to town. 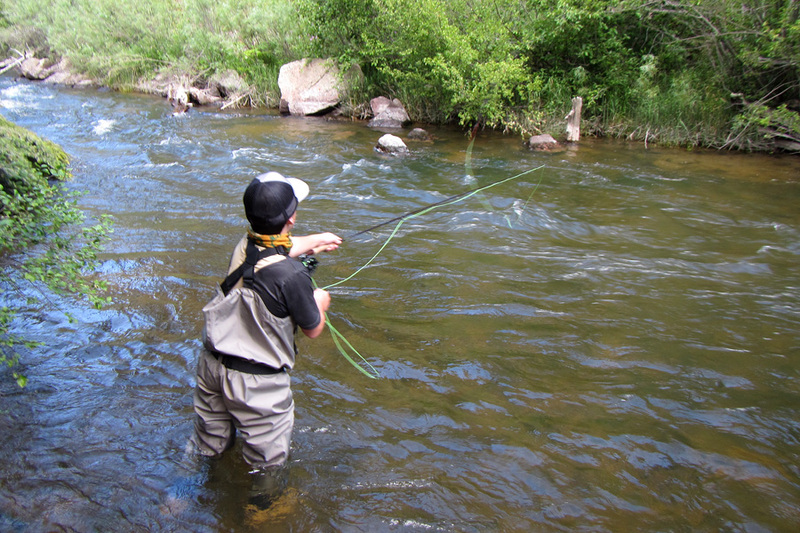 The water was still moving a bit fast this day and while we eventually found a place to fish it was without much success. 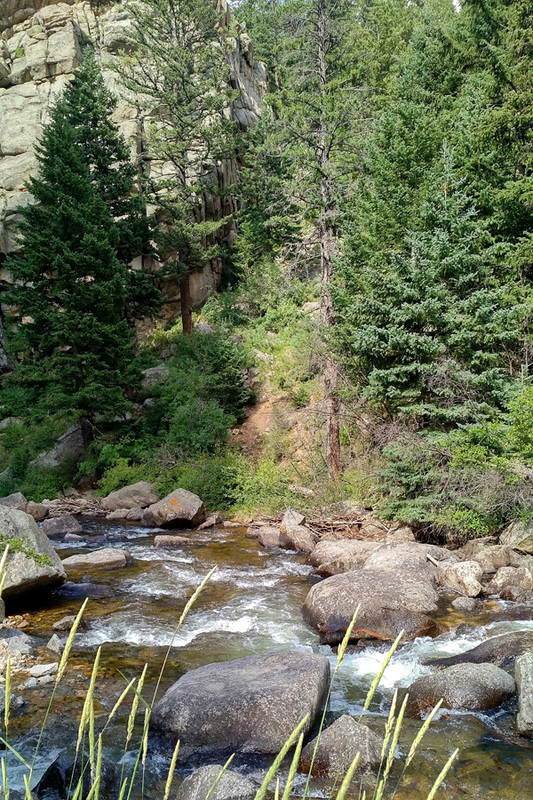 But the hike was a really nice bonus. 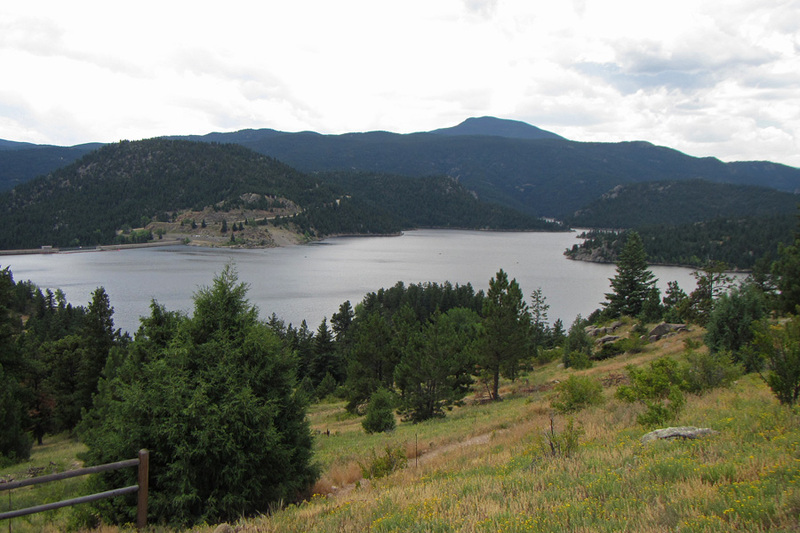 Gross Reservoir which feeds South Boulder Creek. 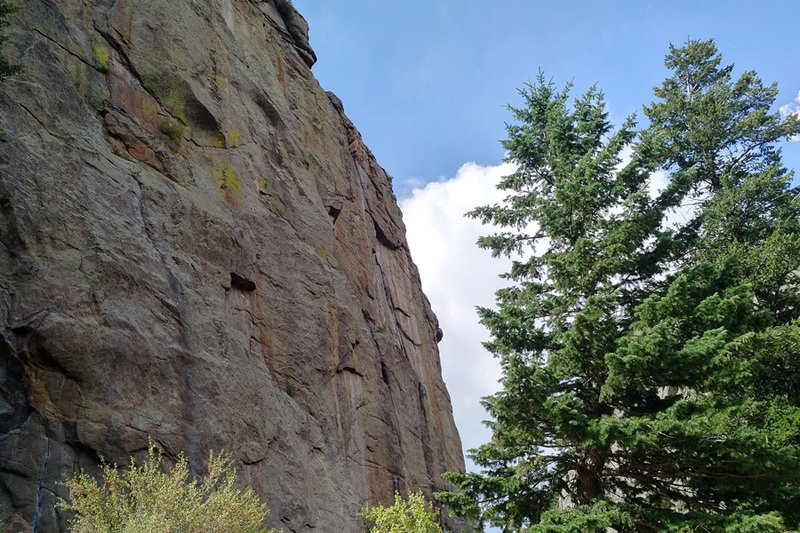 Another beautiful spot so close to town is Dome Rock. 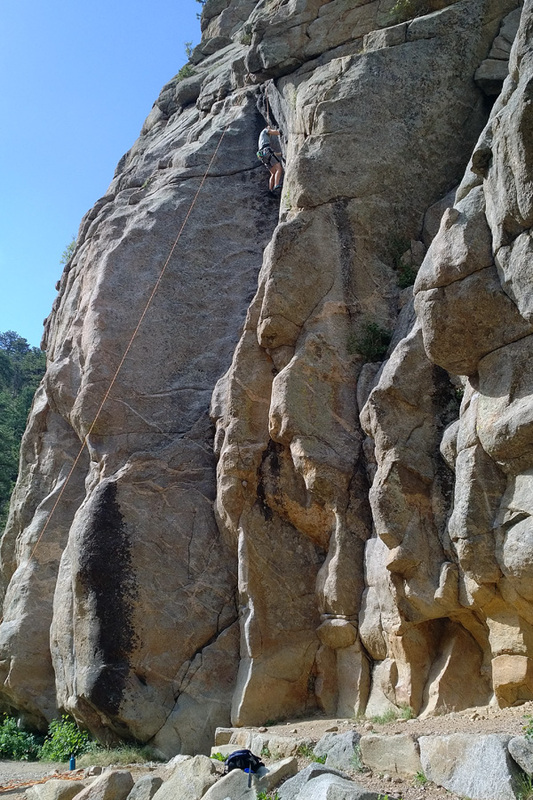 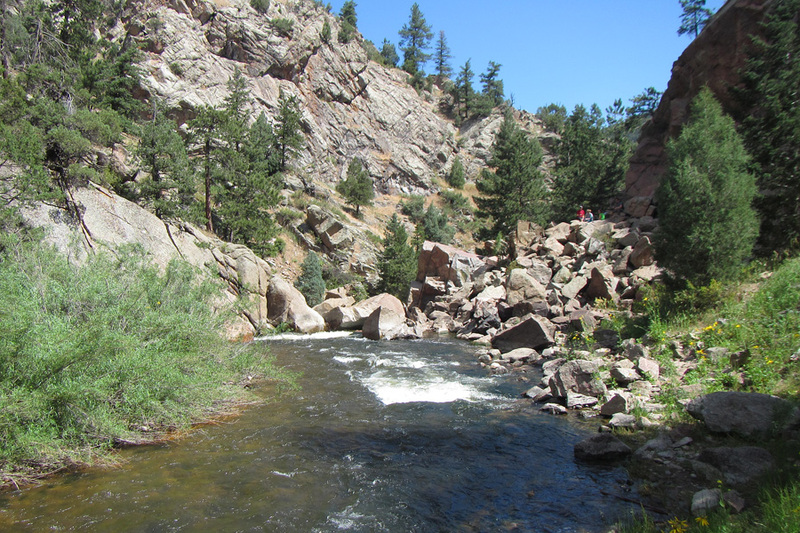 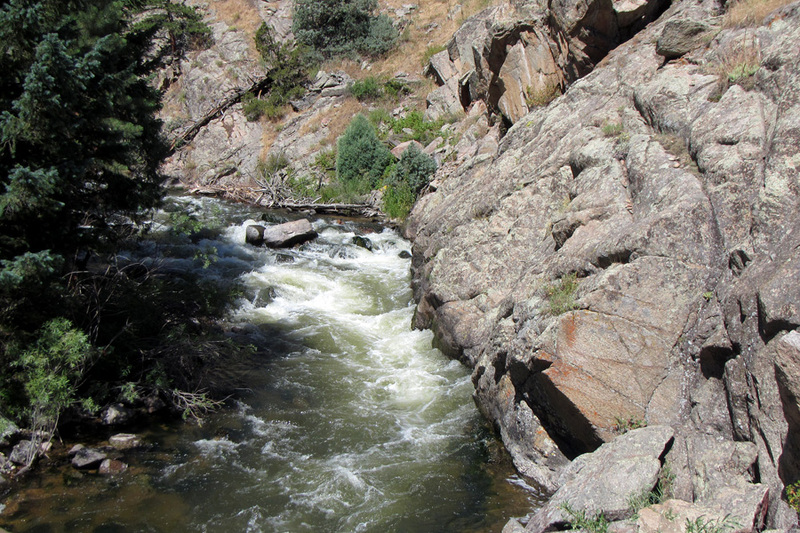 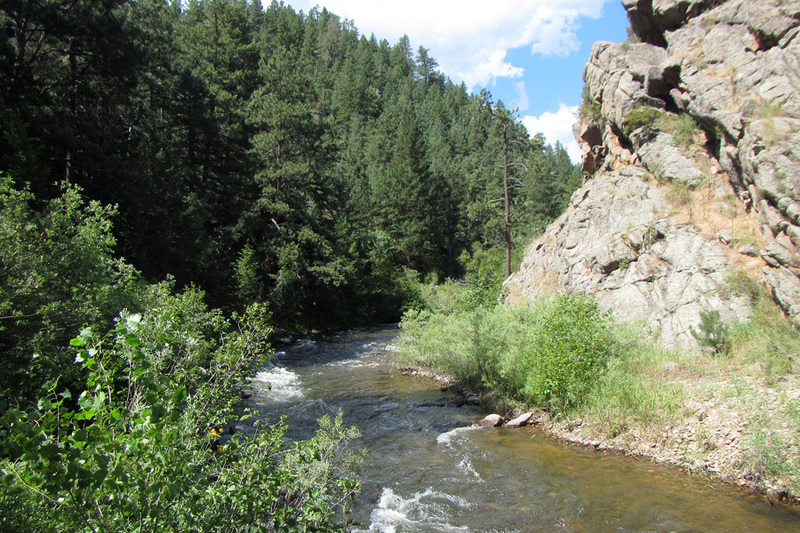 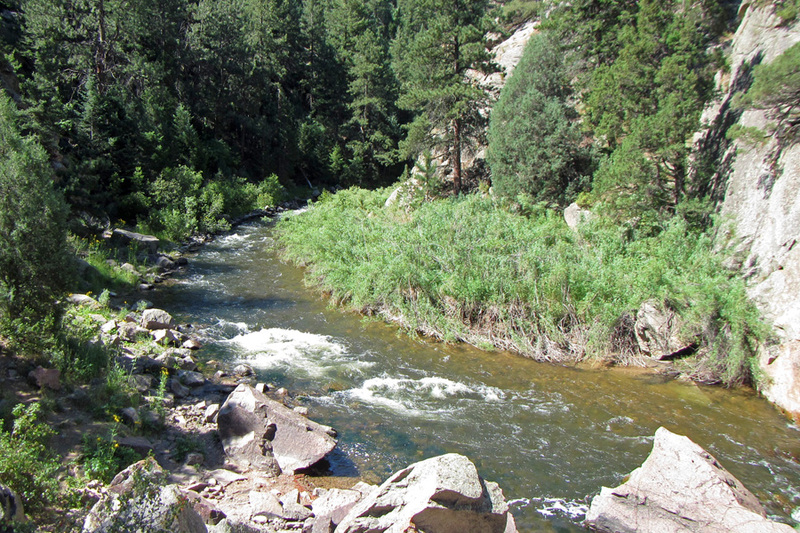 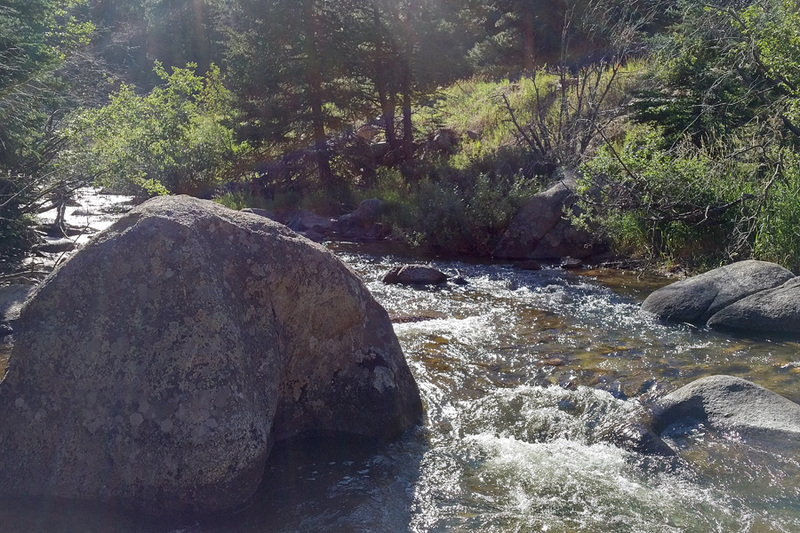 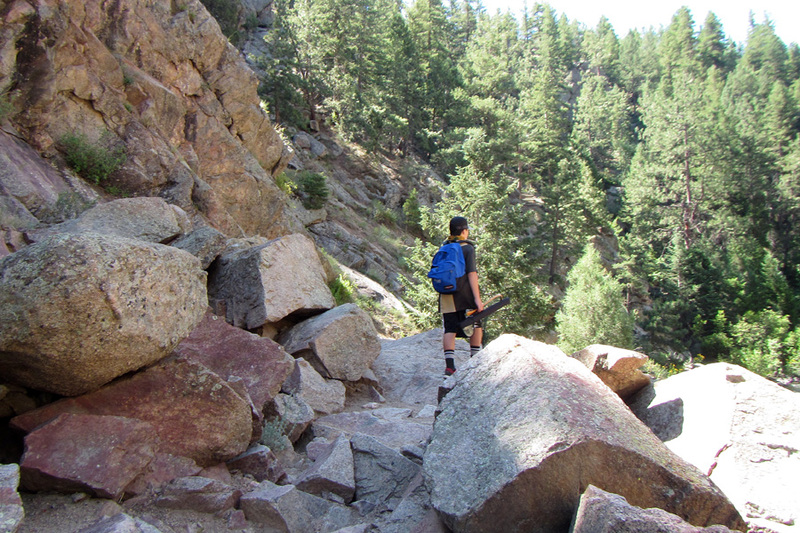 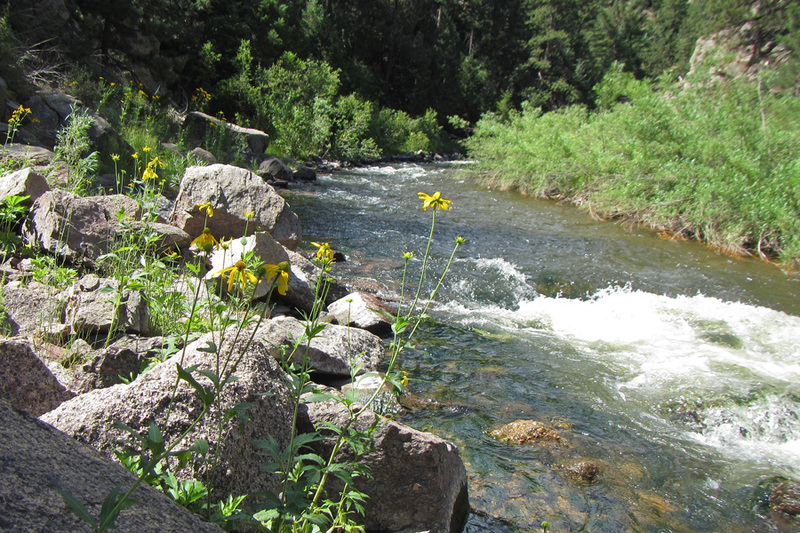 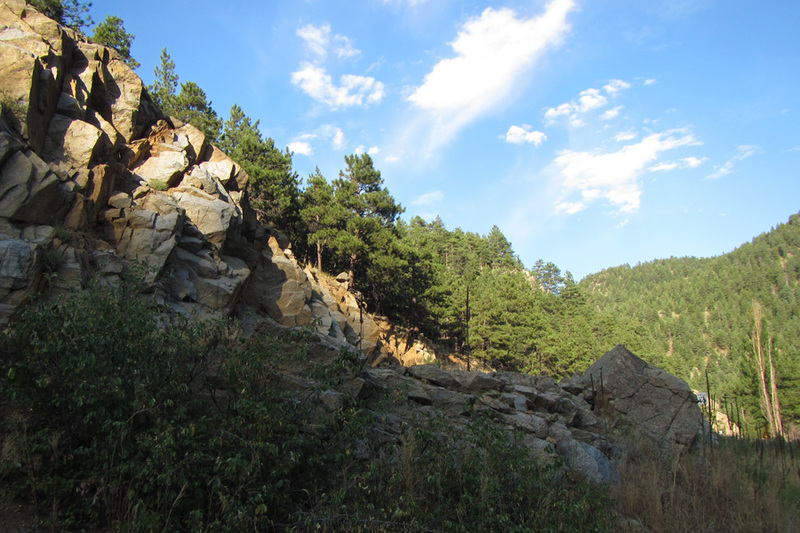 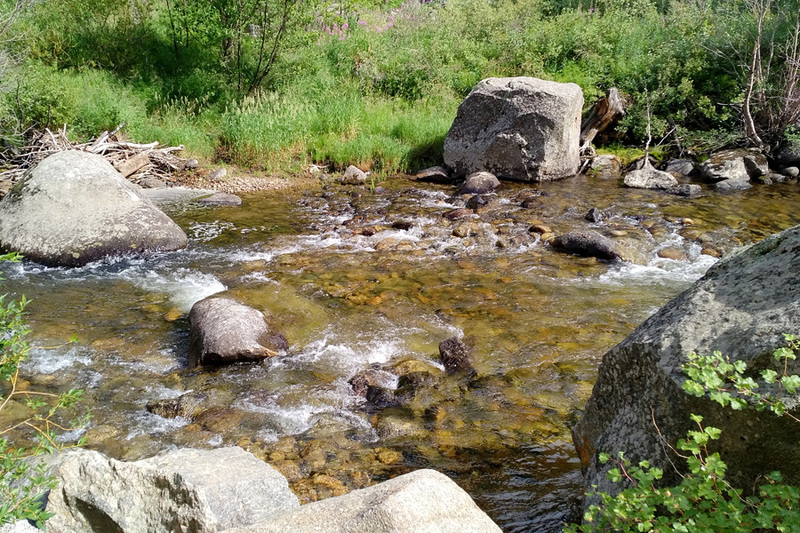 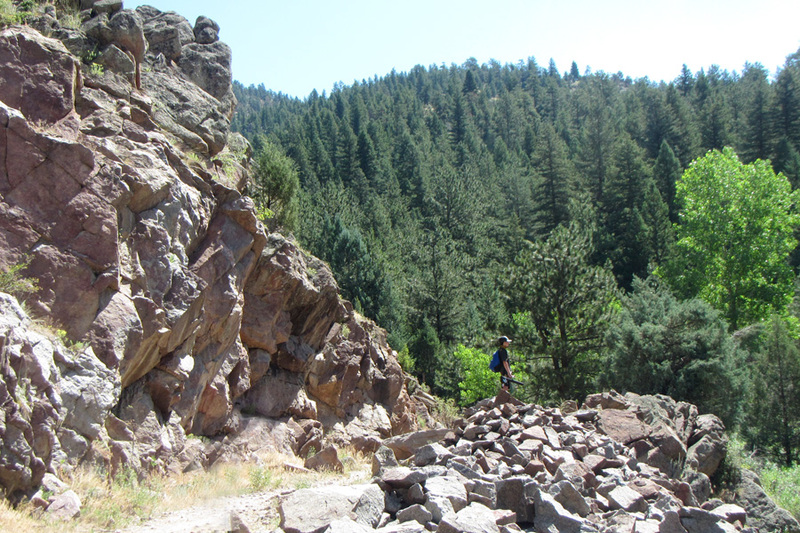 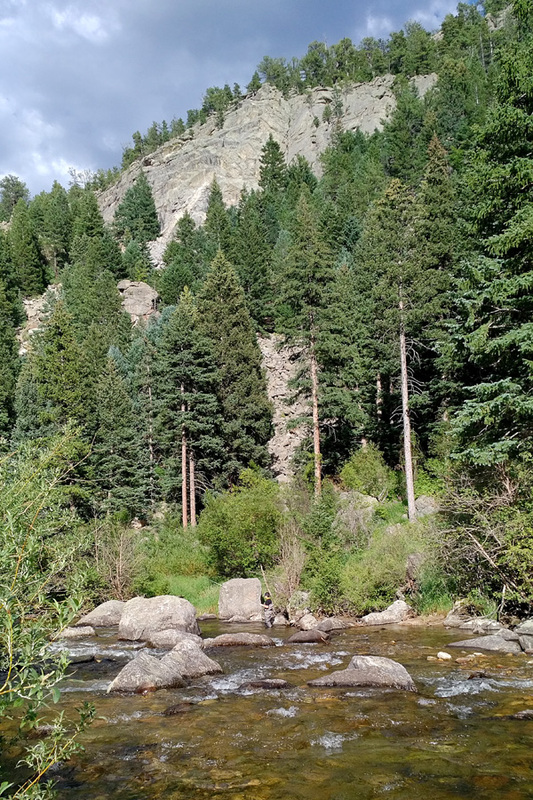 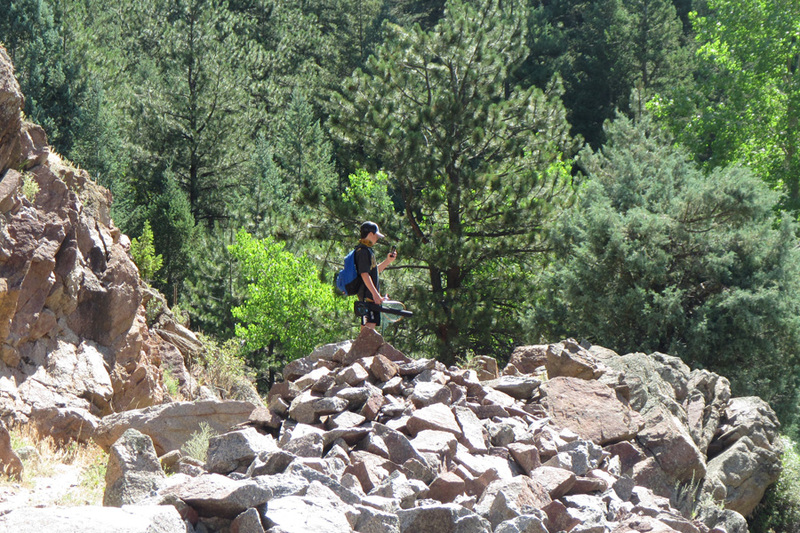 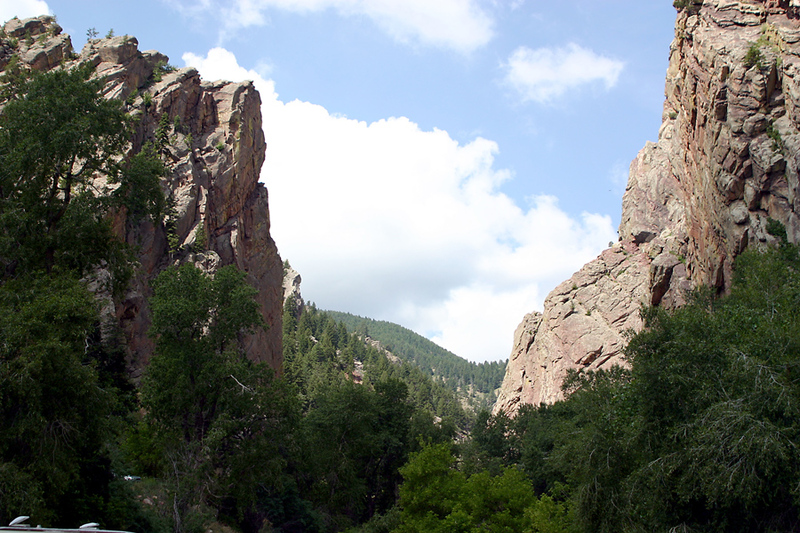 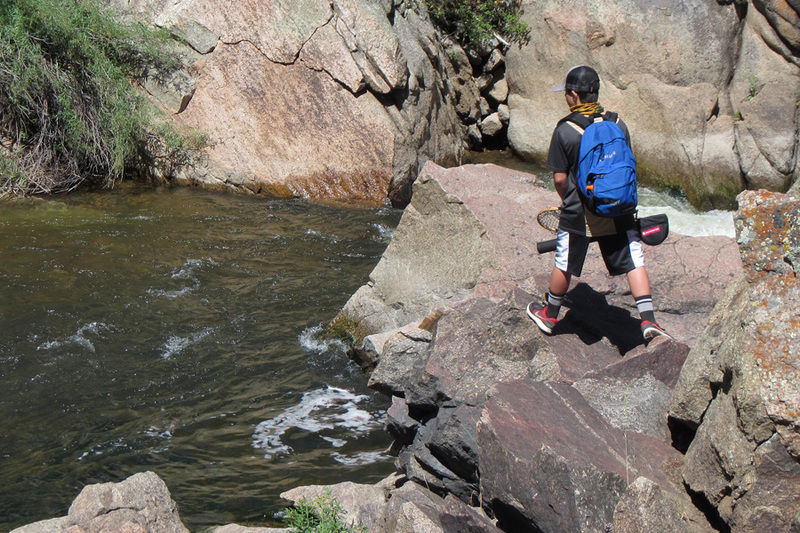 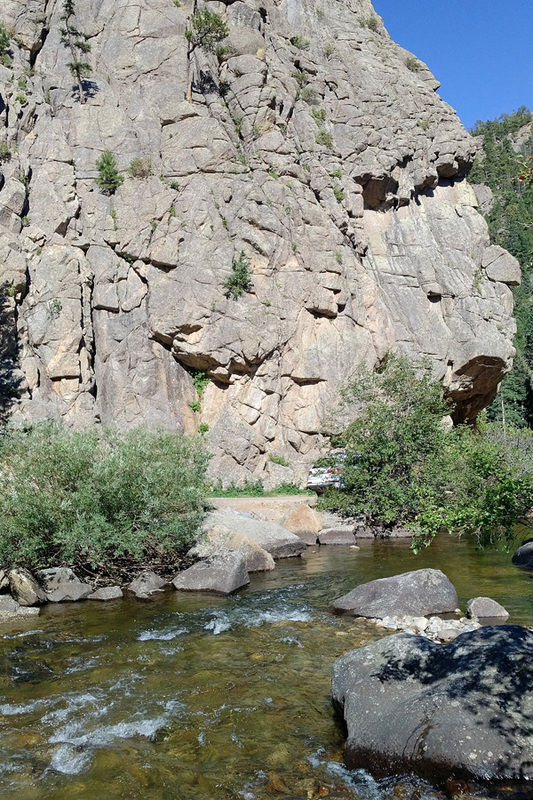 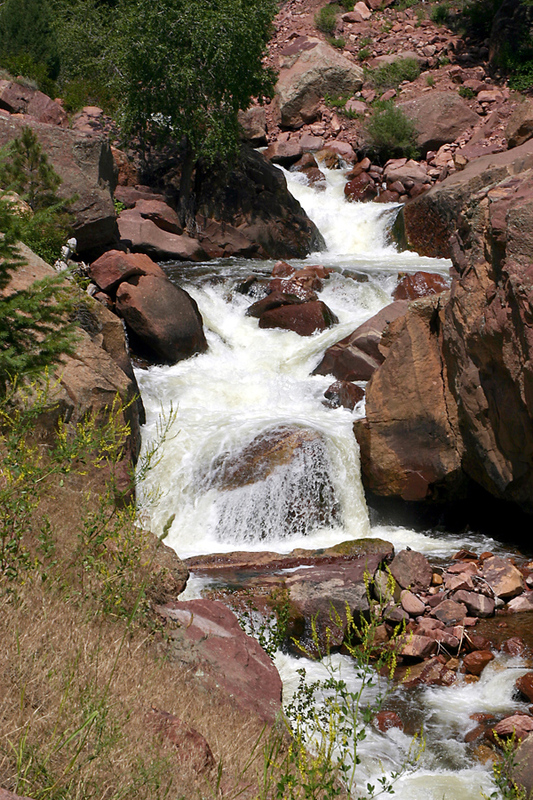 Its a little further up Boulder Canyon close to Nederland and its popular with rock climbers and fly fishers alike. 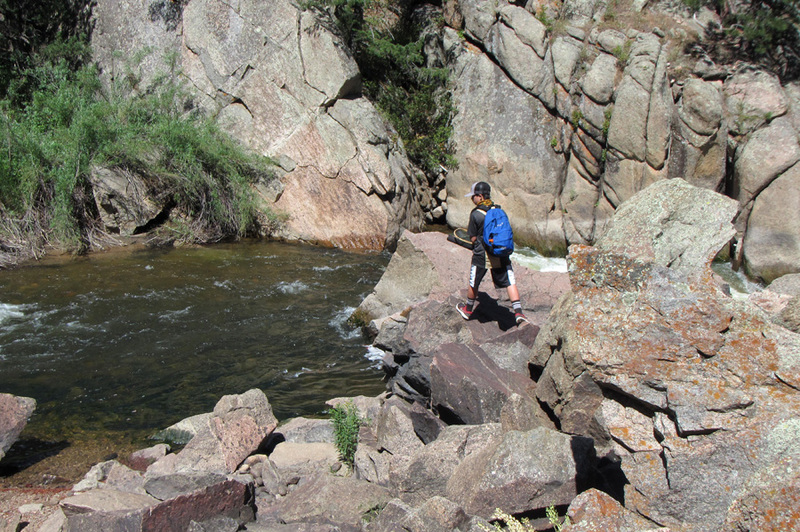 Circling around the rock formation is Boulder Creek and there are lots of picturesque little pockets of water to fish. 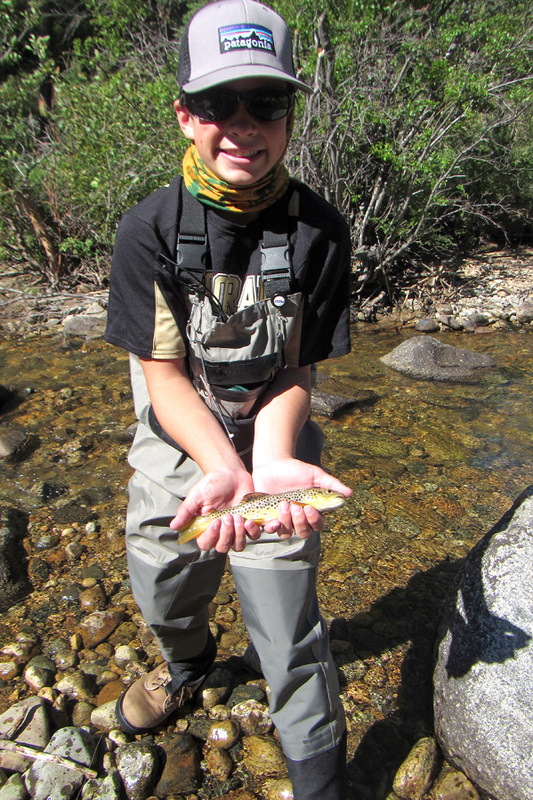 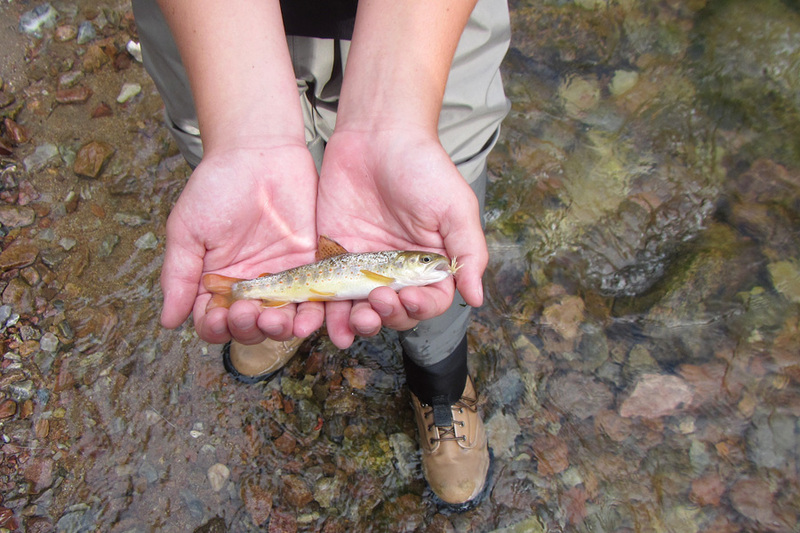 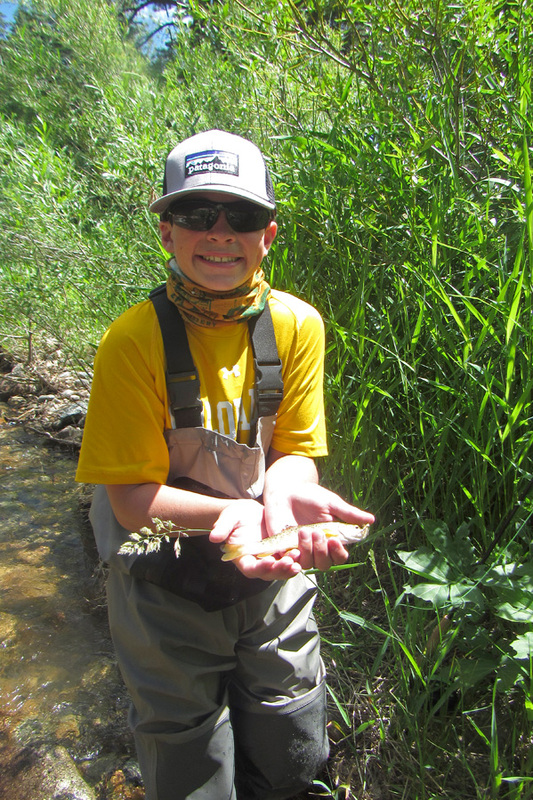 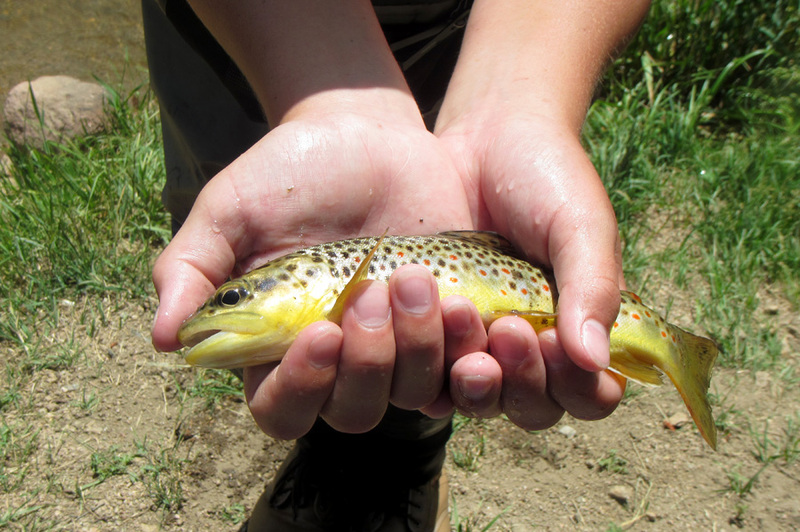 We fished here twice this summer and had some success catching mostly small Brown Trout. 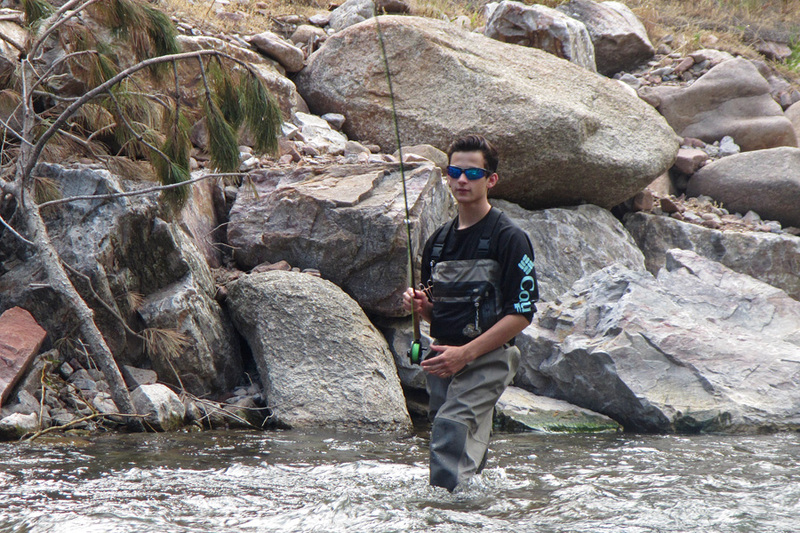 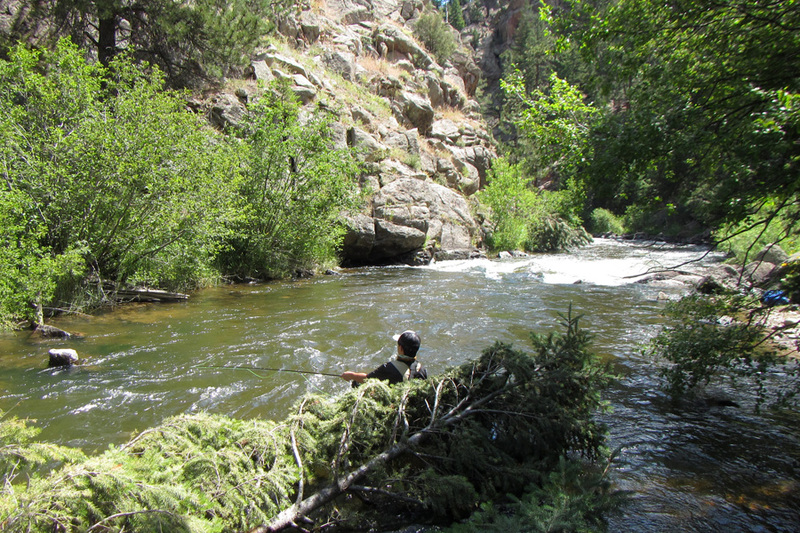 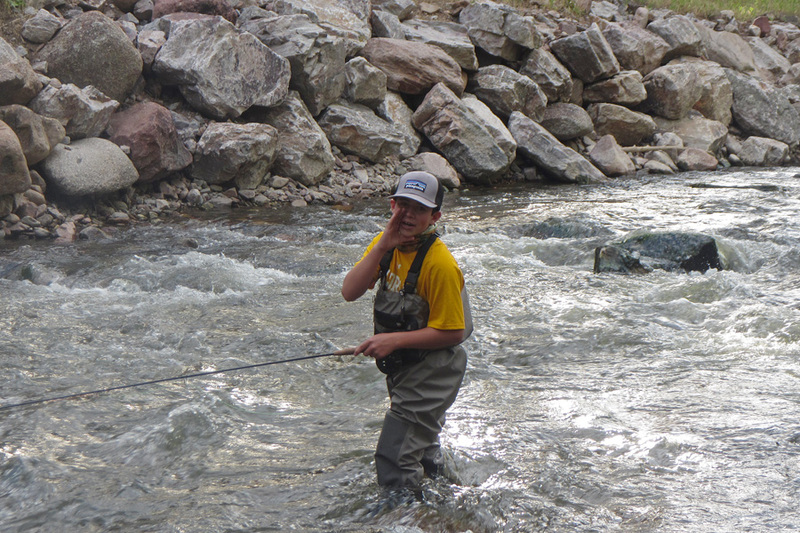 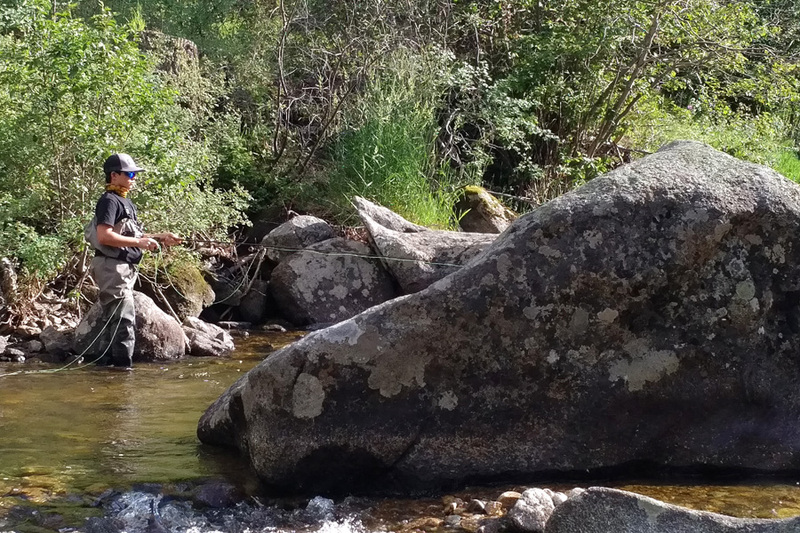 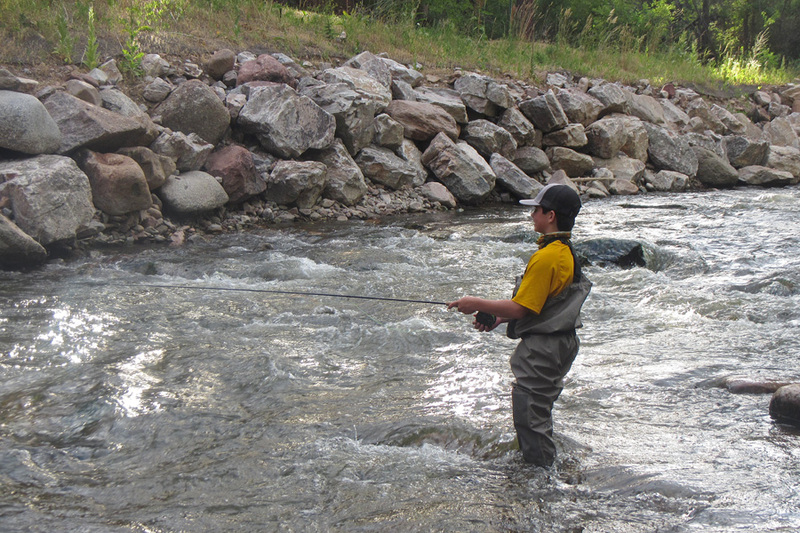 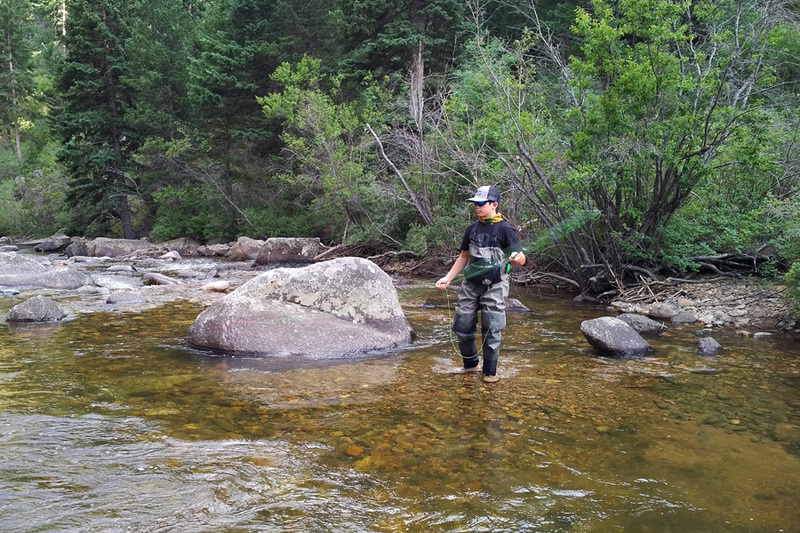 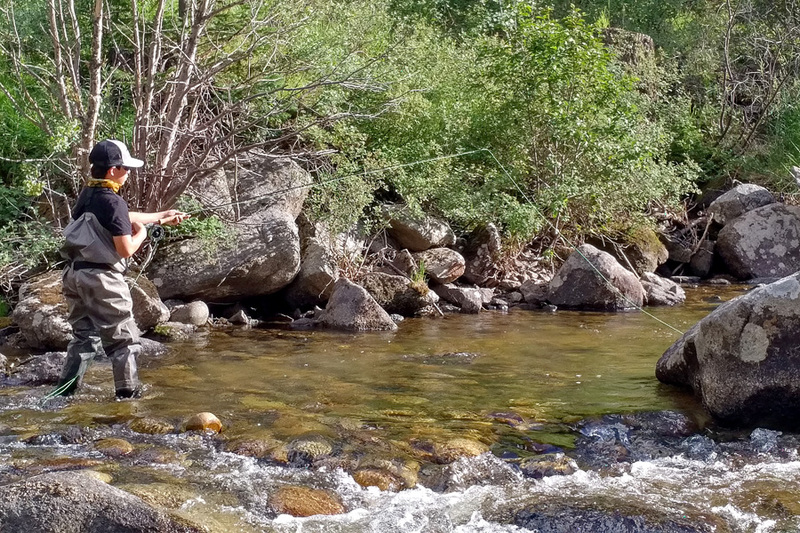 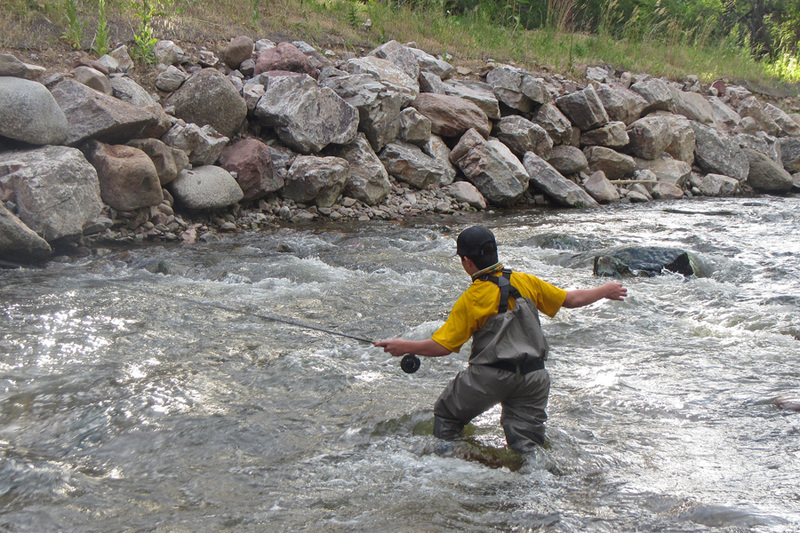 Some early evening fishing in Eldorado Canyon State park which was carved by South Boulder Creek. 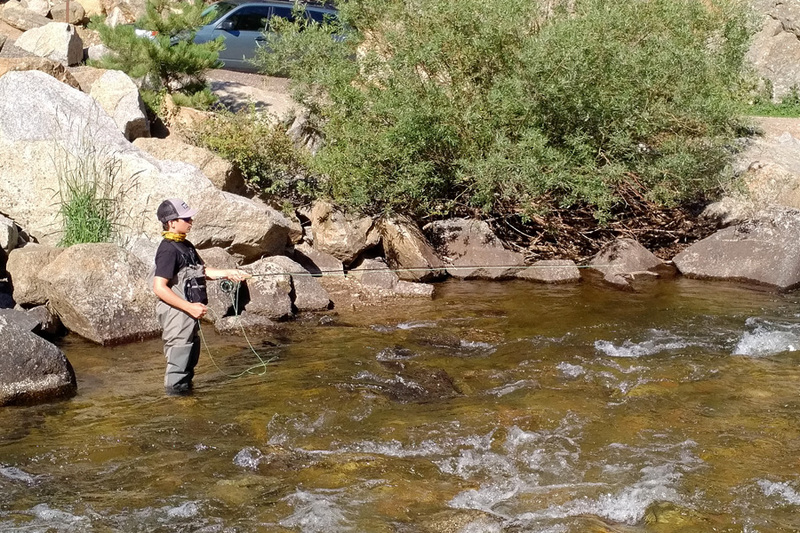 "I said, What are they biting on?" 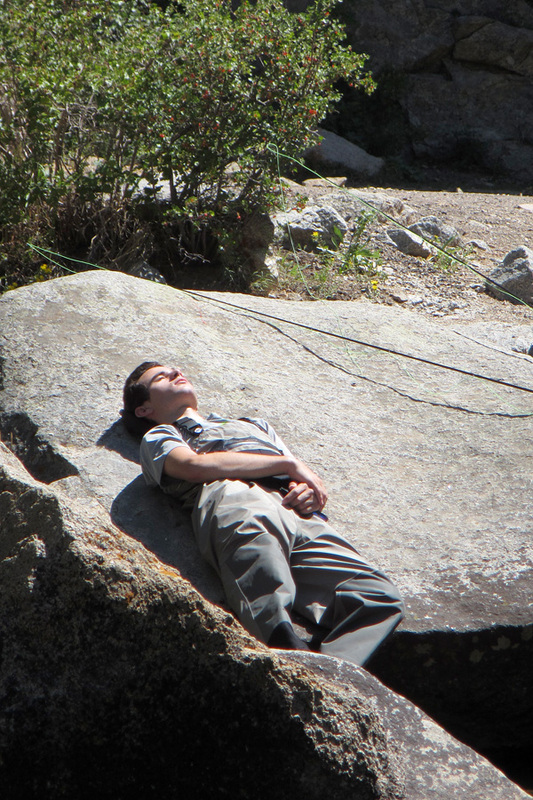 - Brendan does his Brad Pitt impersonation. 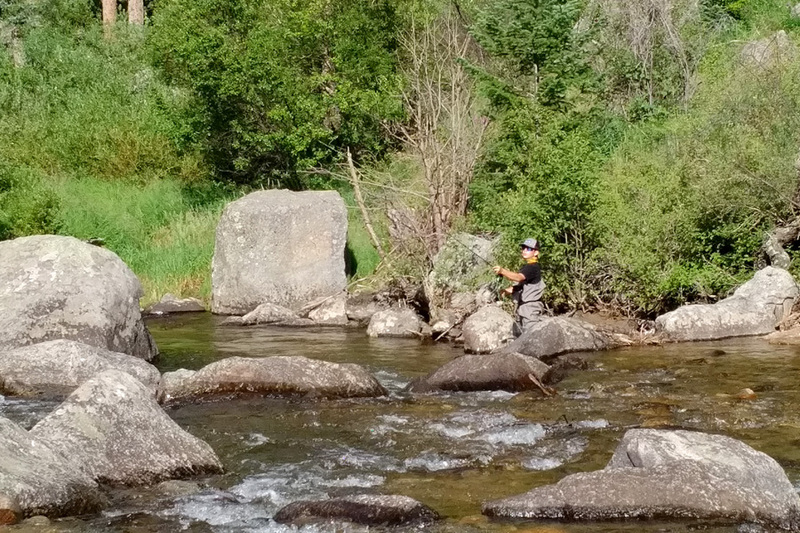 Here are two images from Gore Creek in Vail on the 4th of July weekend. 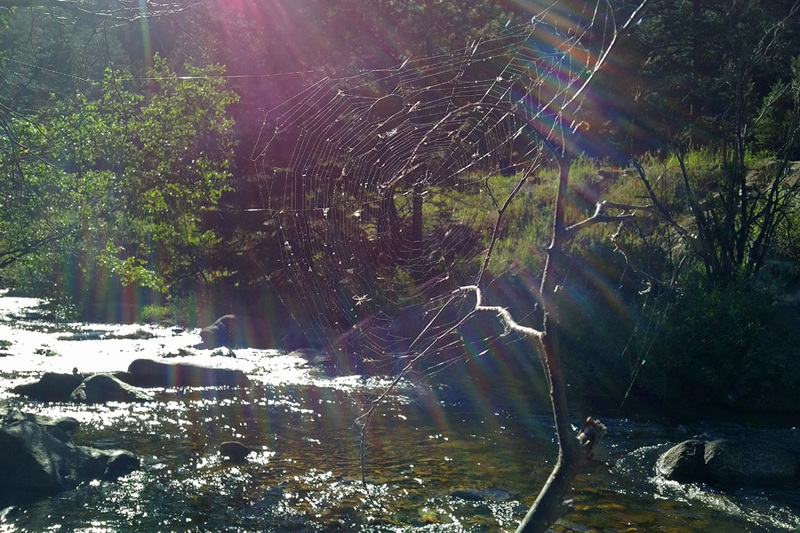 Click Here to see a few more images from Gore Creek in Vail. 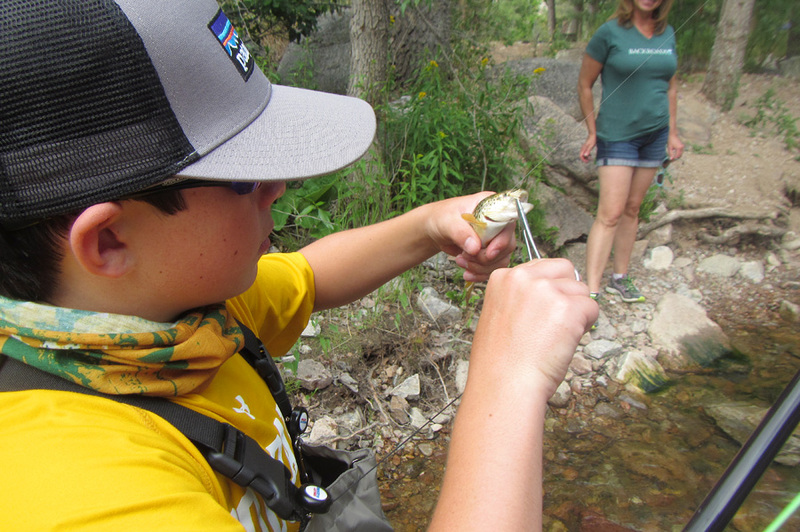 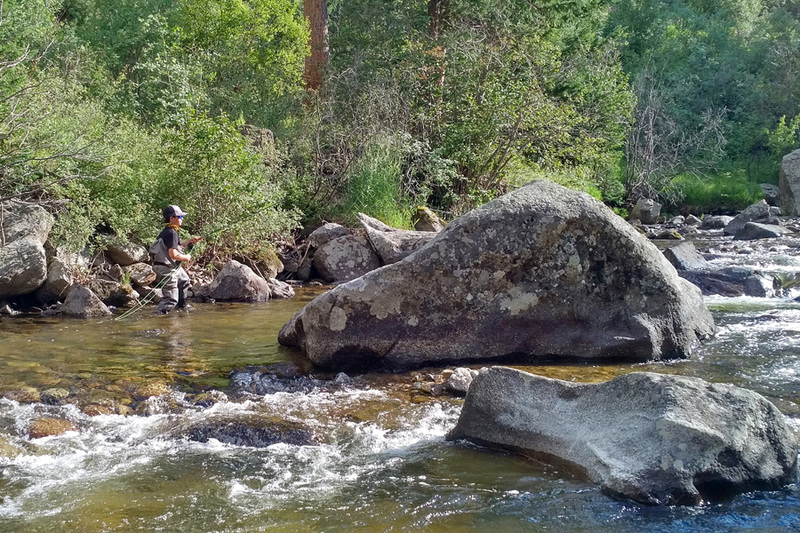 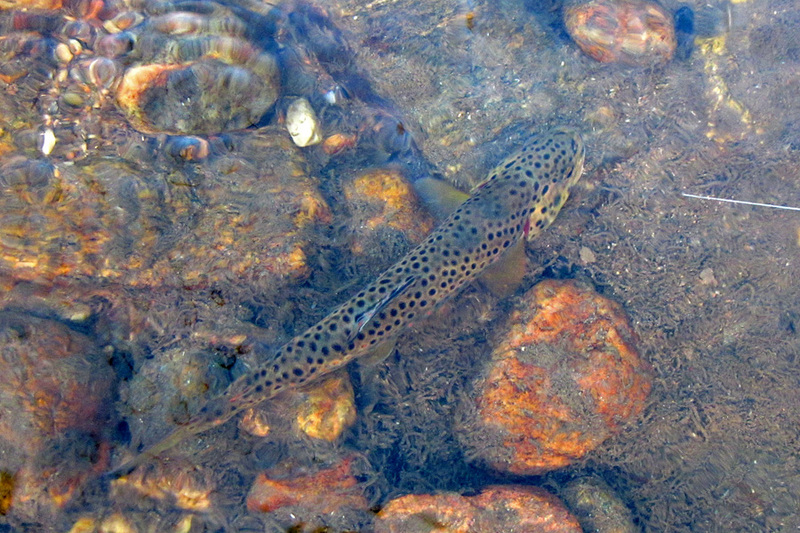 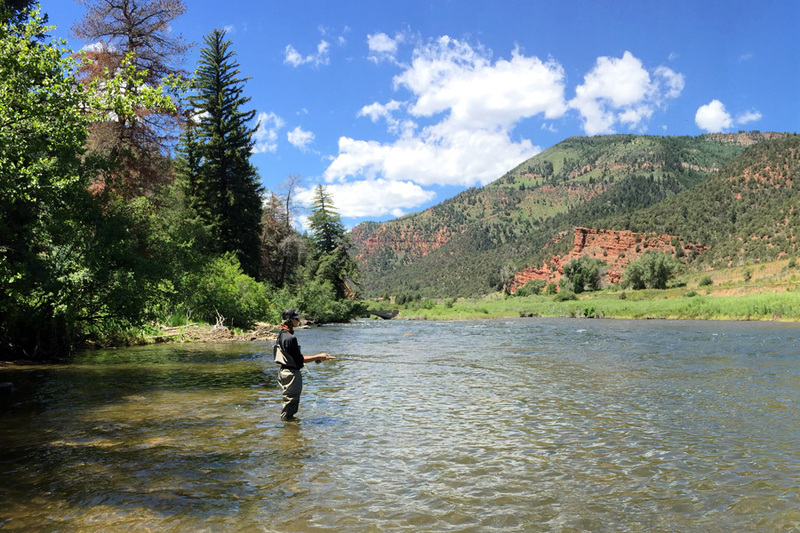 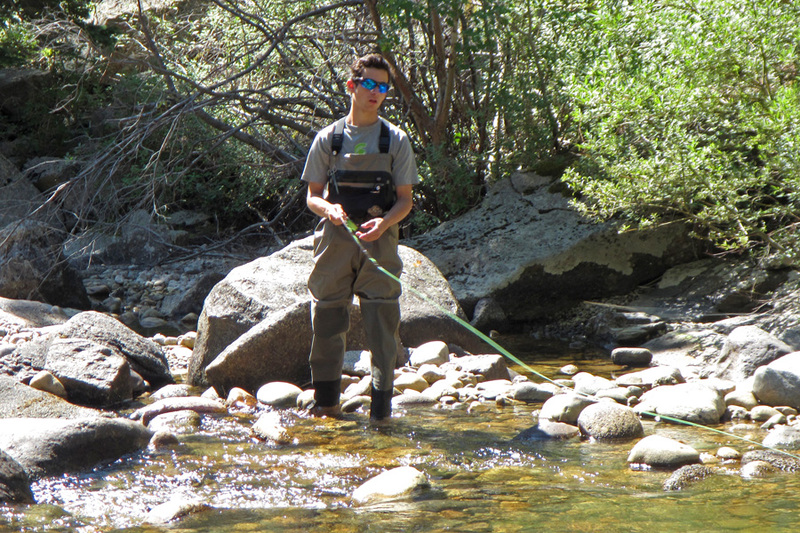 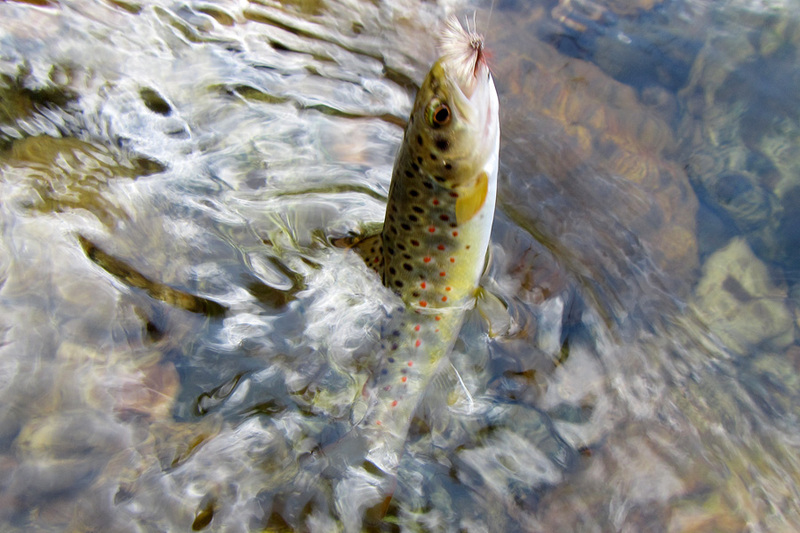 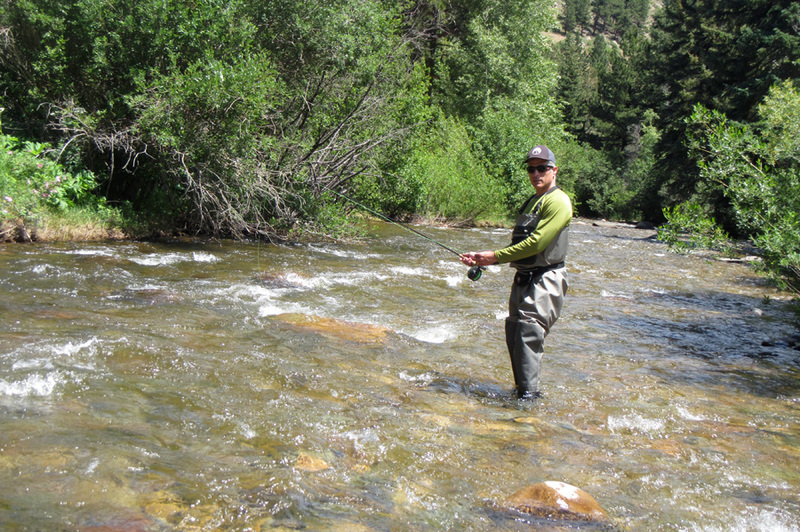 Here are a few images from a guided trip we took on the Eagle River near Avon, Colorado. 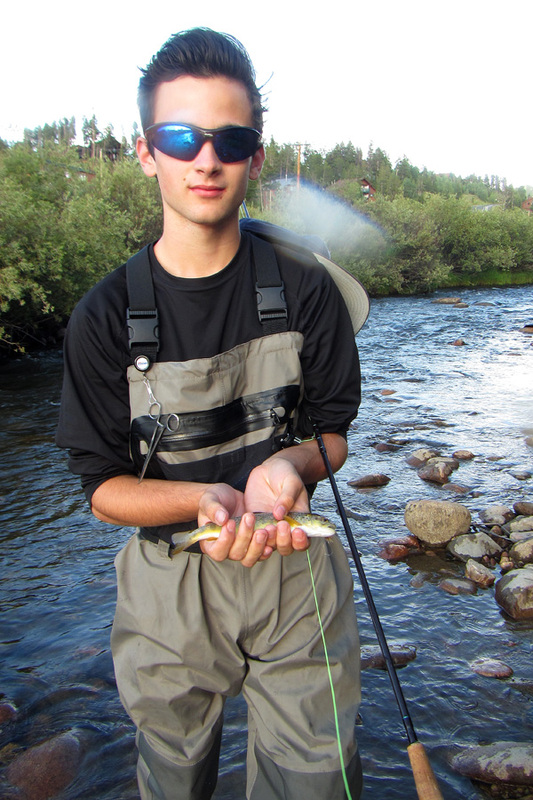 Much bigger fish were caught as you can see! 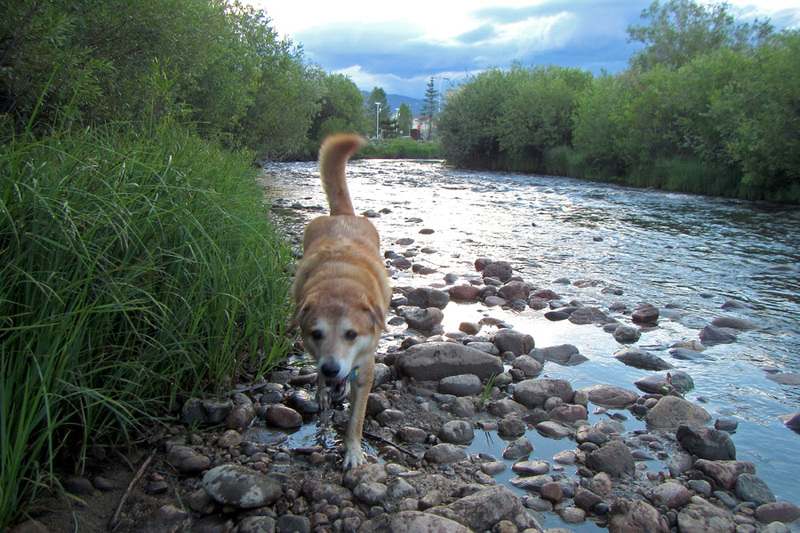 Click Here to see many more images from the Eagle River! 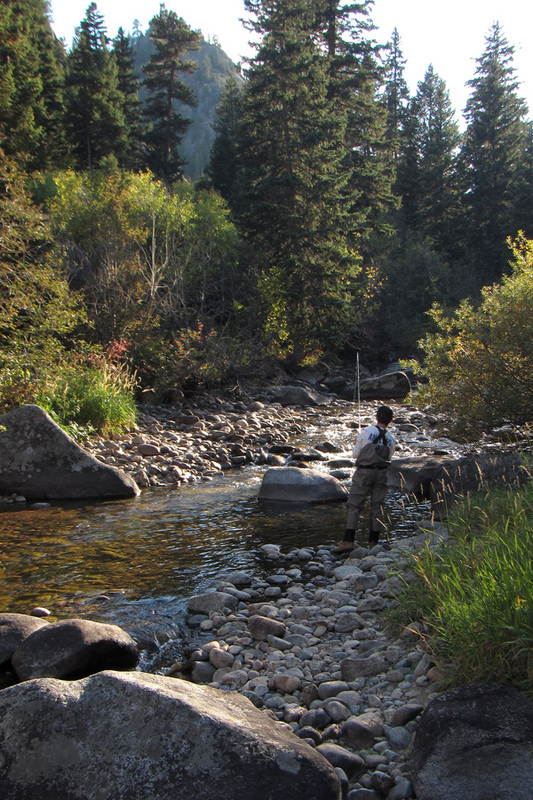 Also see some Fall Fishing in Aspen! 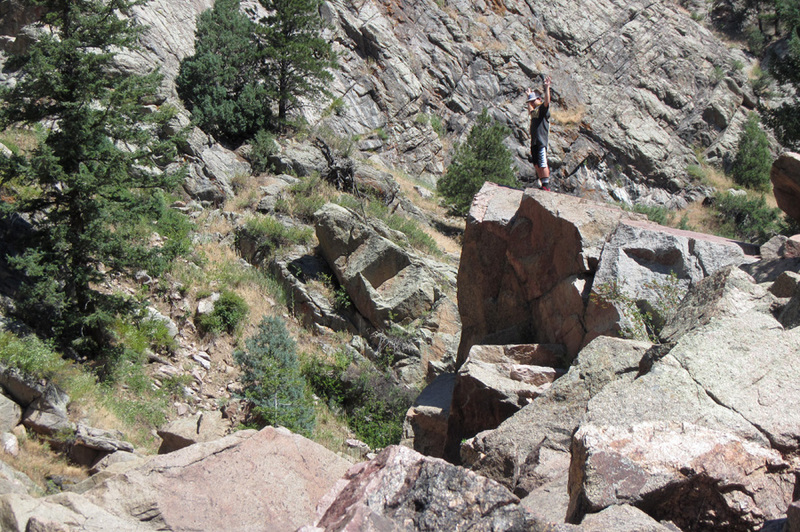 And here!